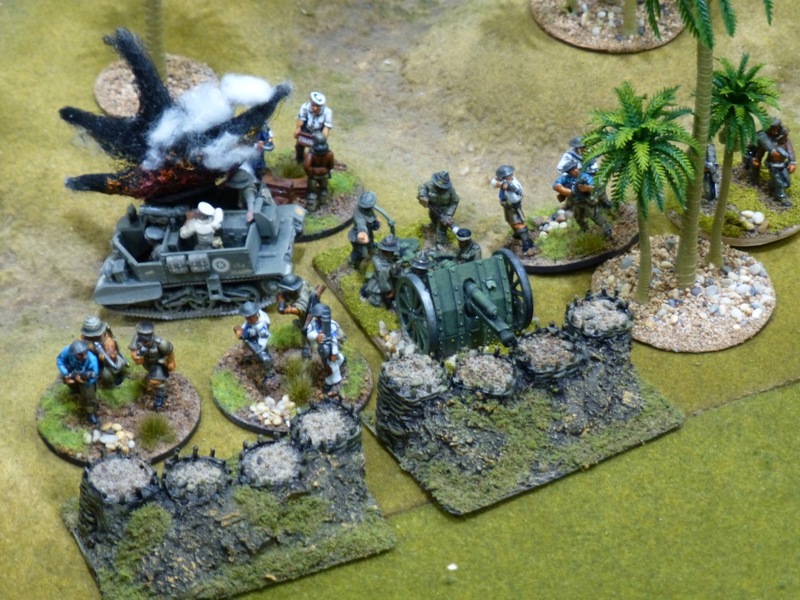 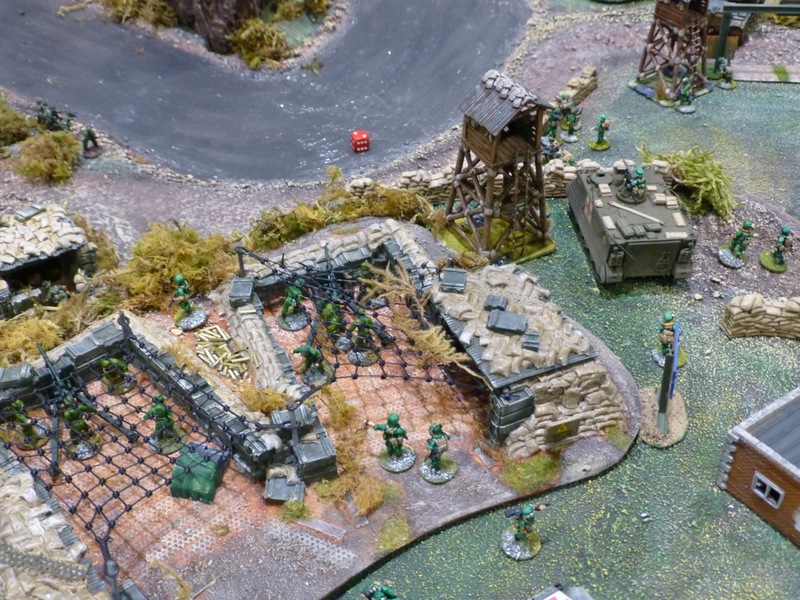 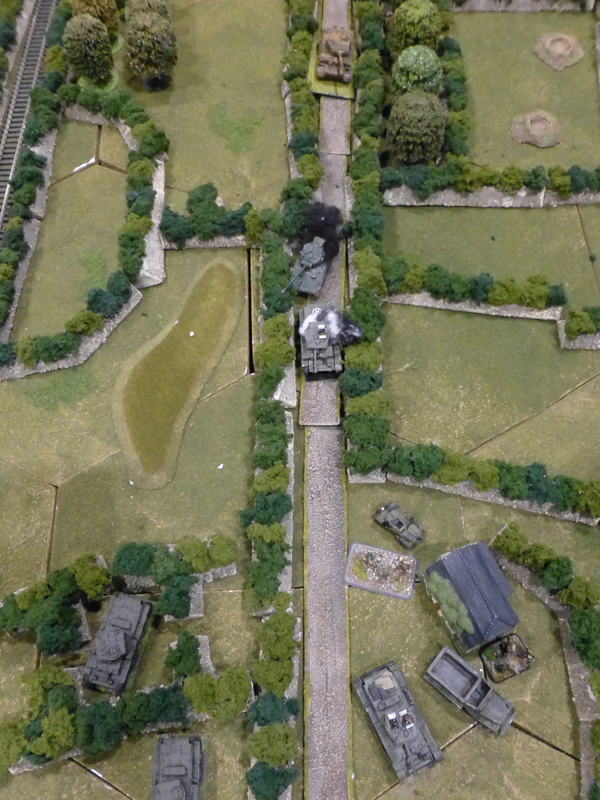 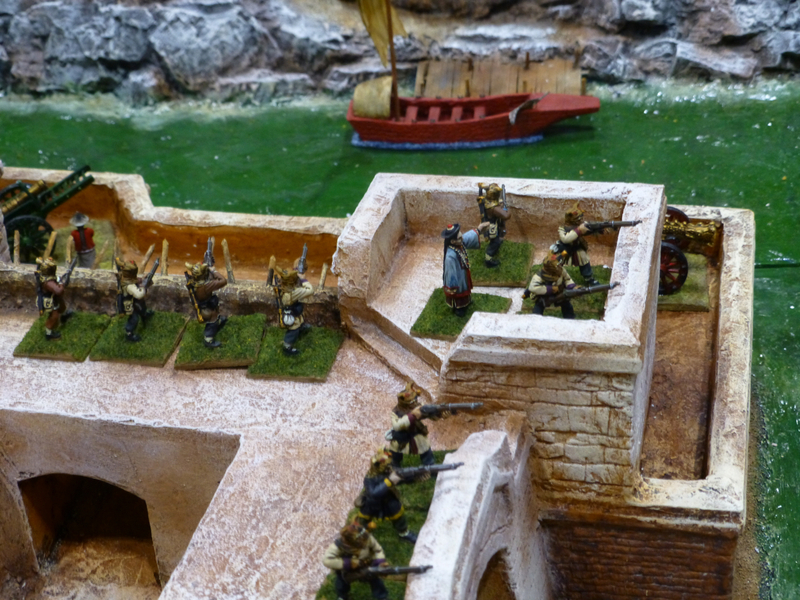 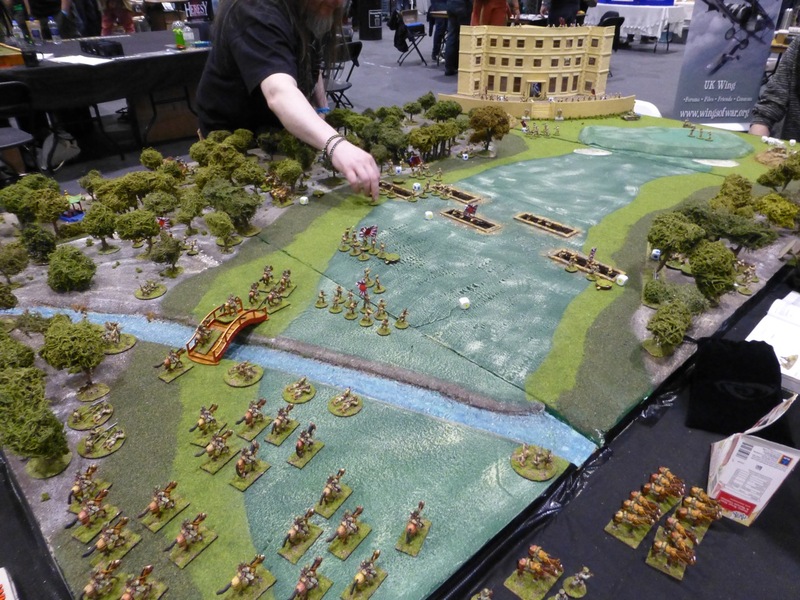 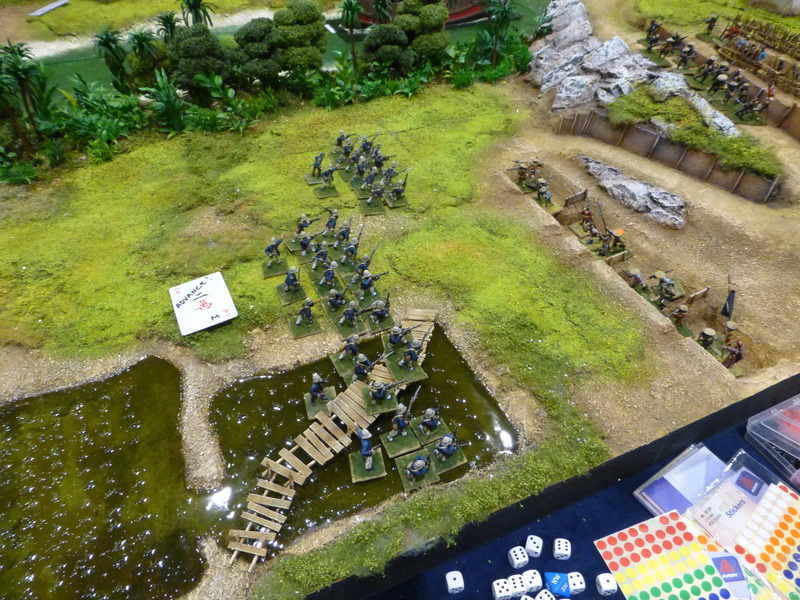 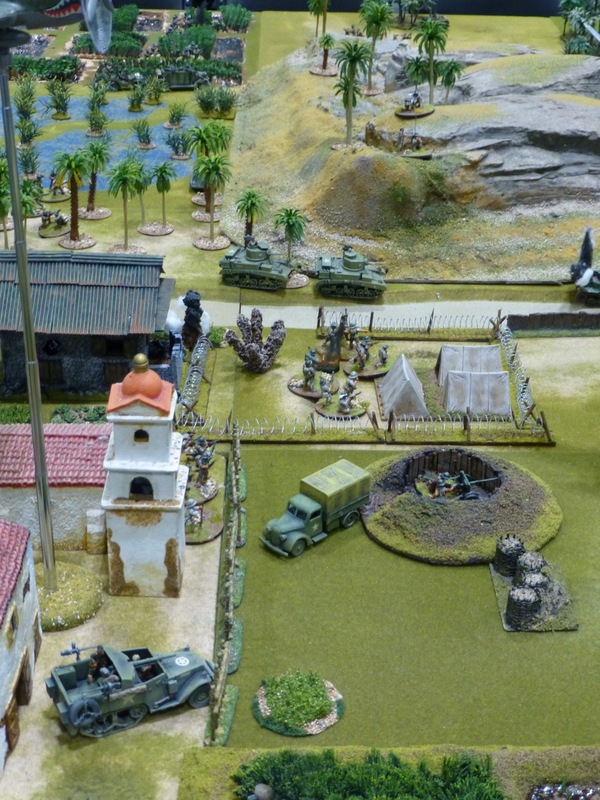 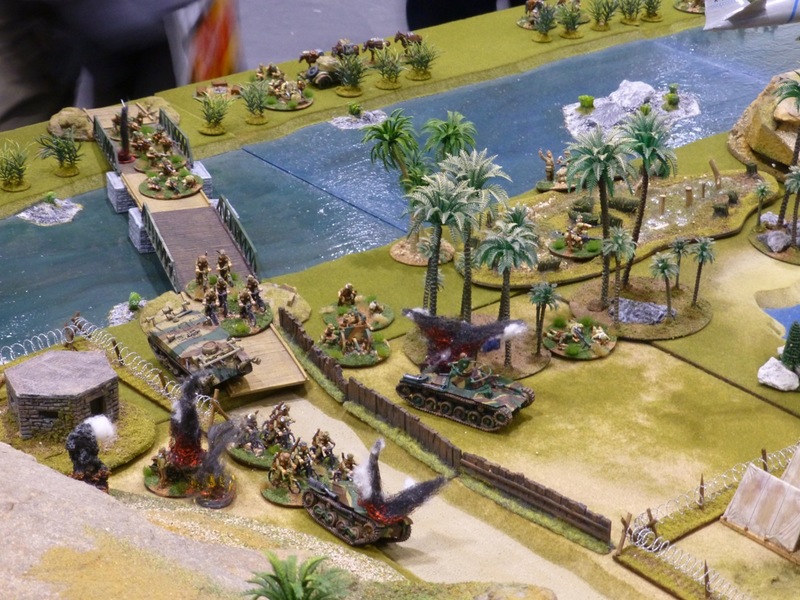 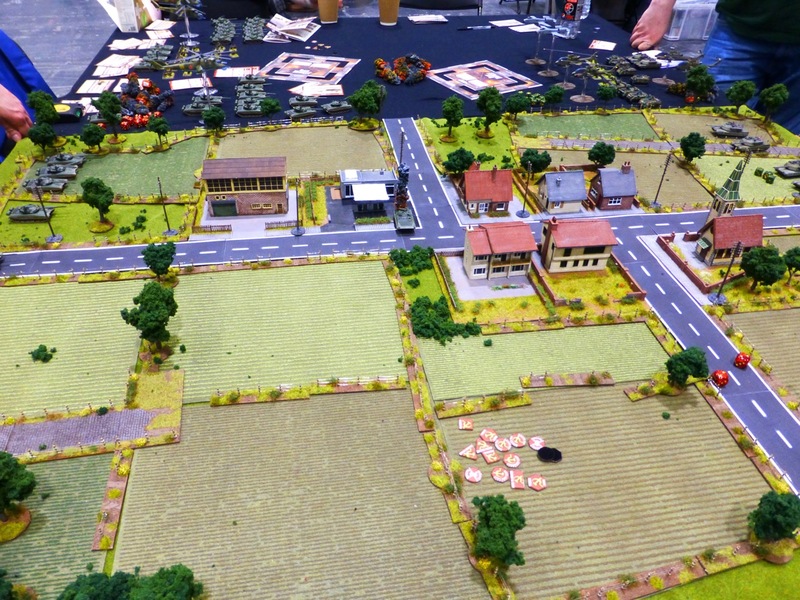 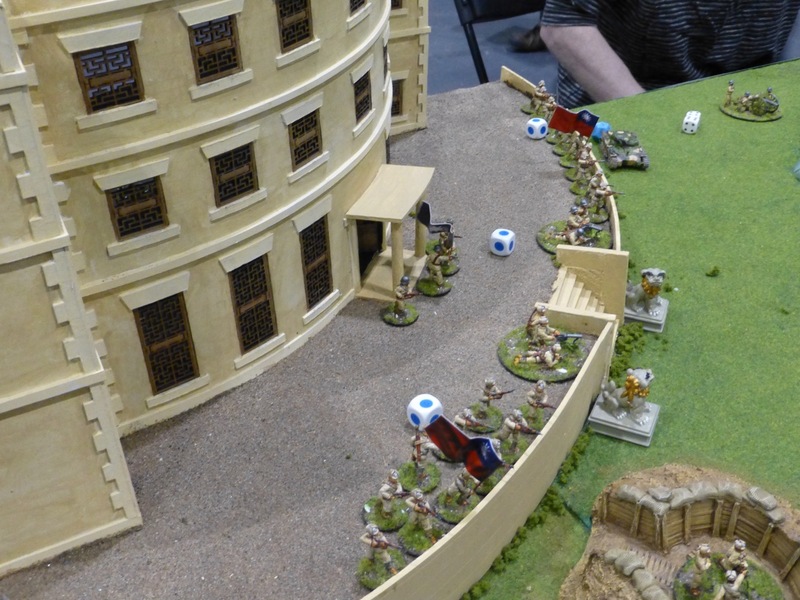 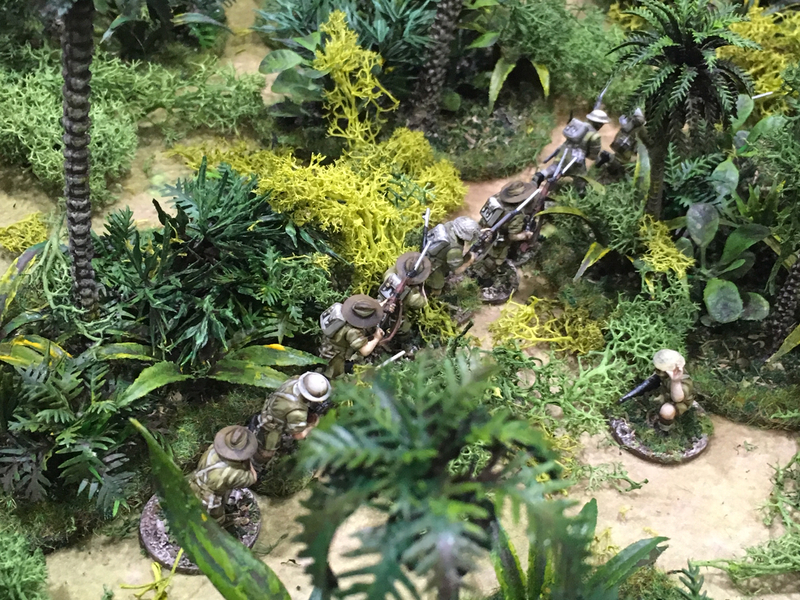 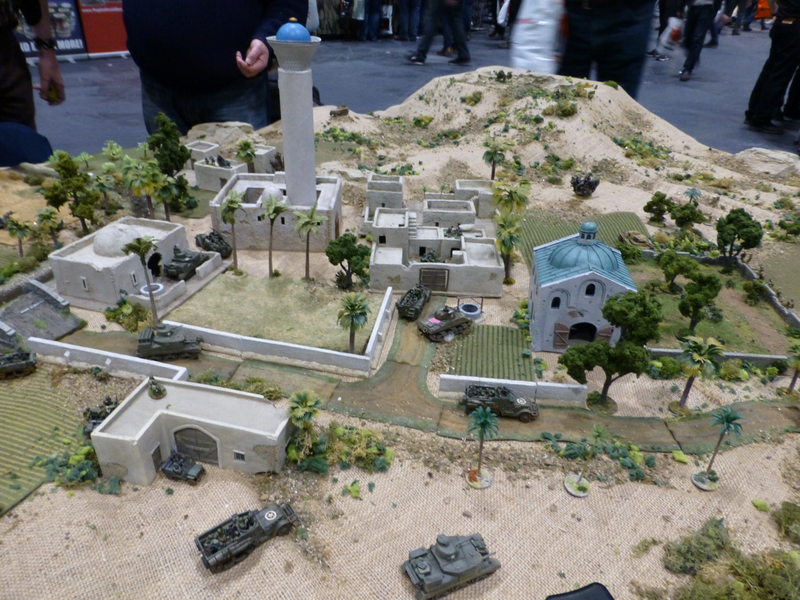 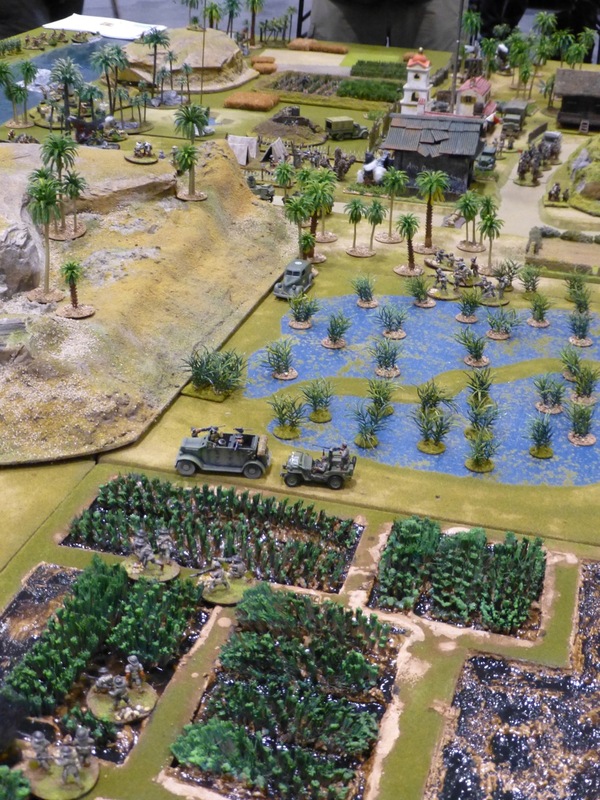 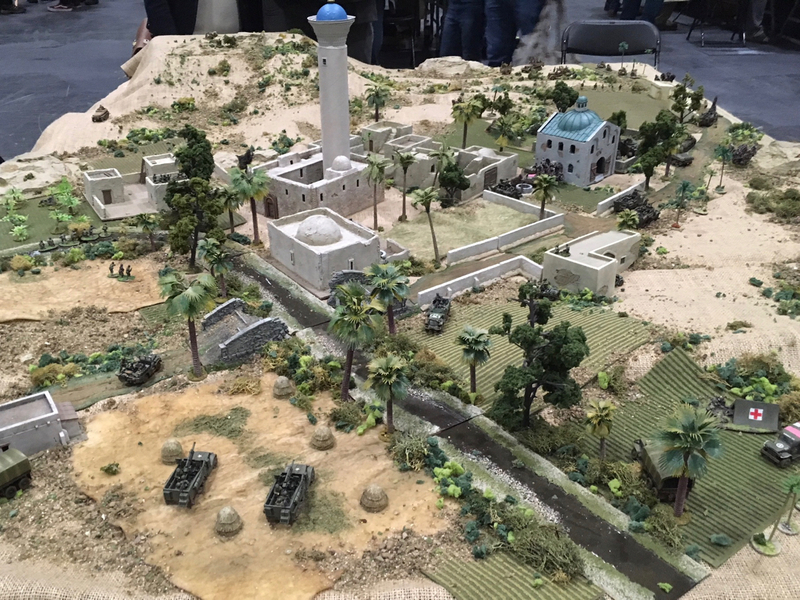 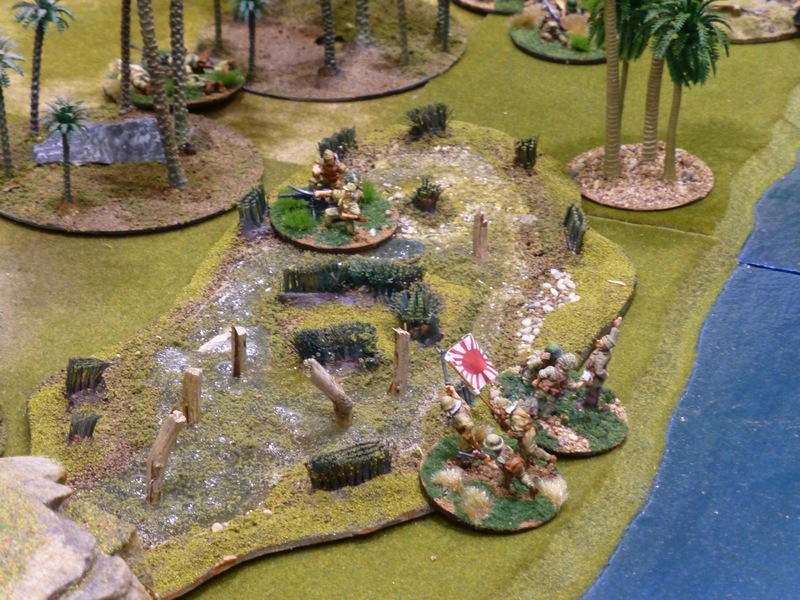 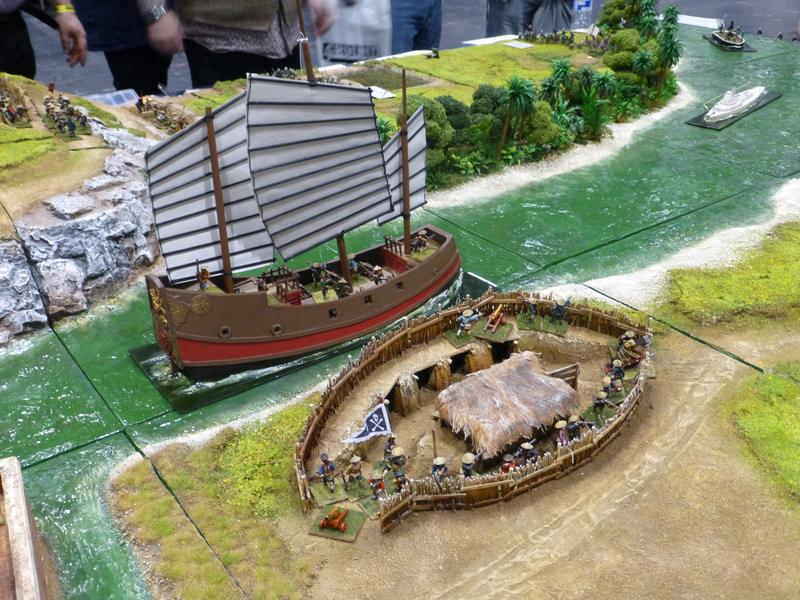 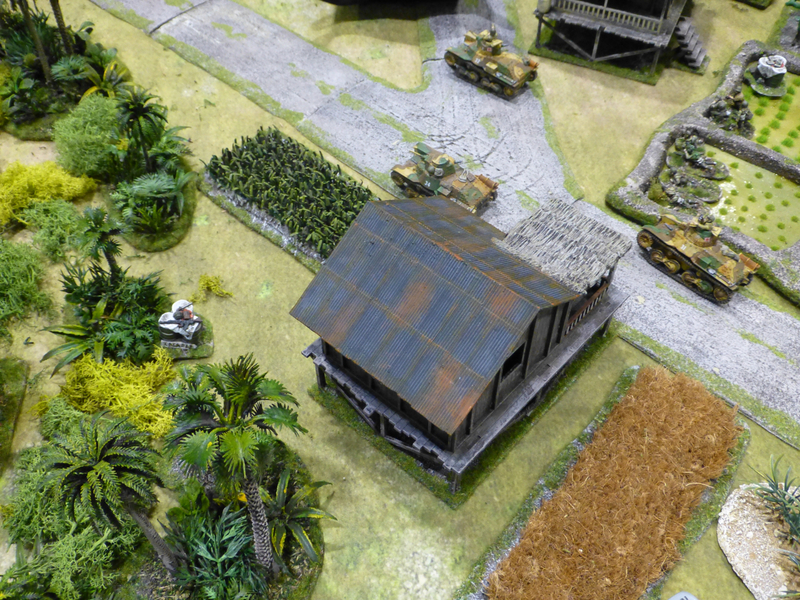 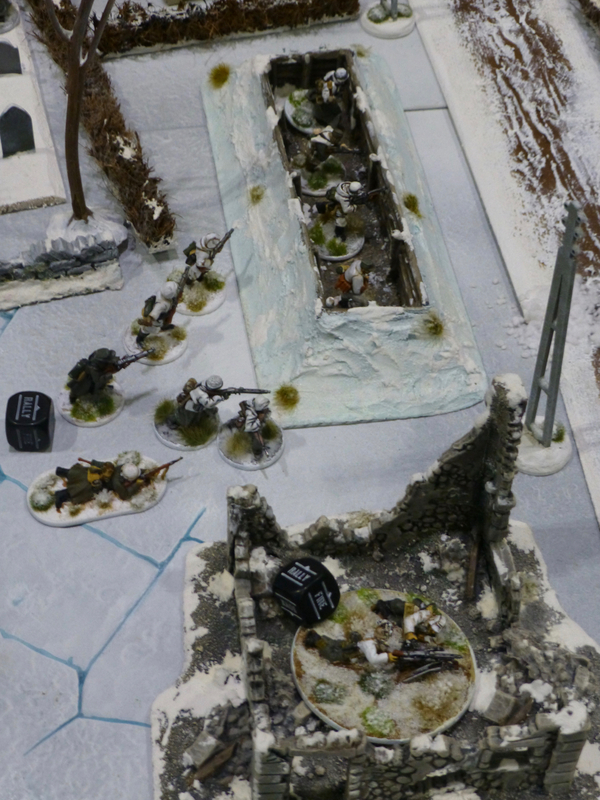 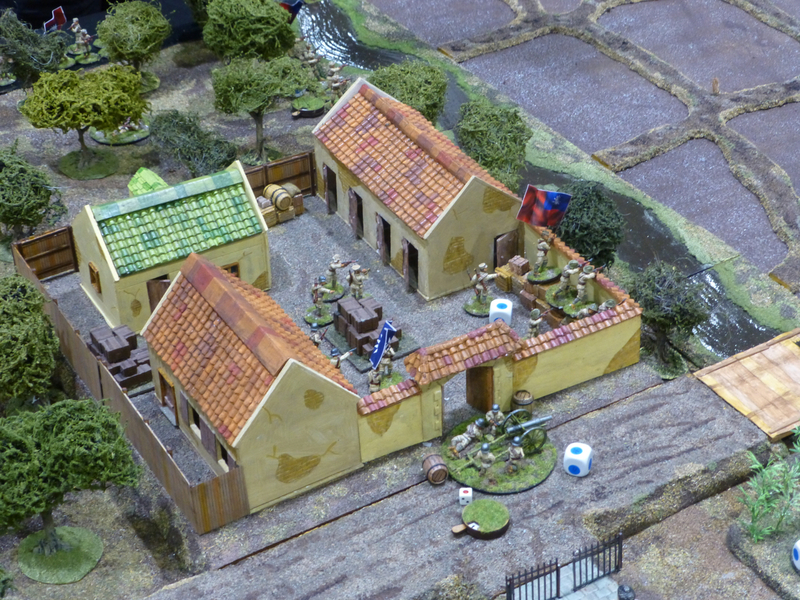 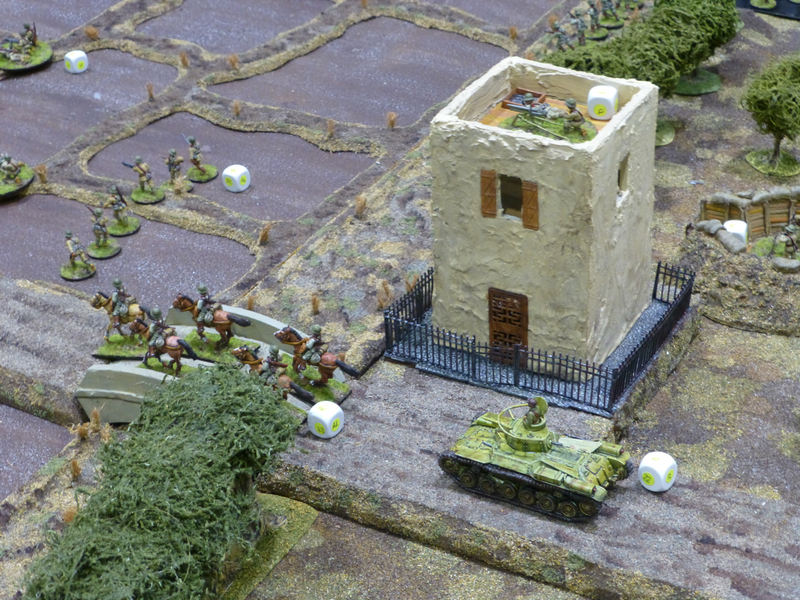 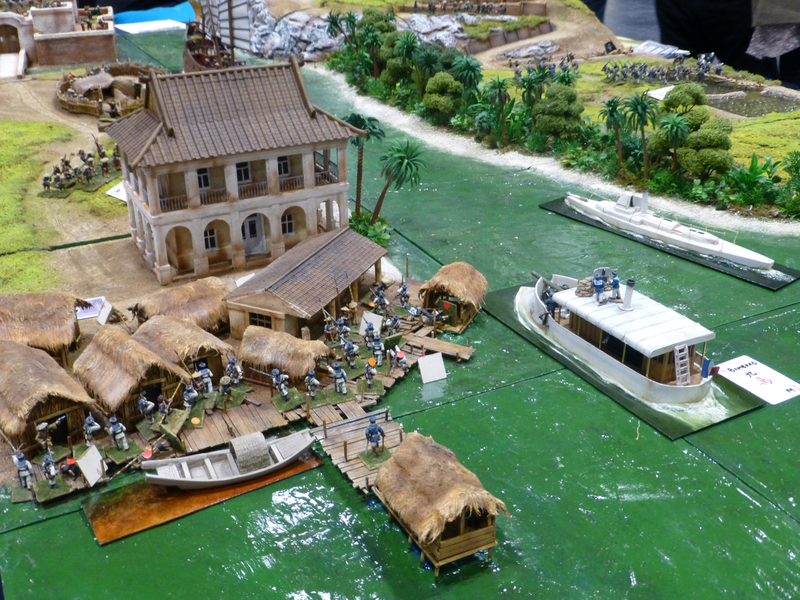 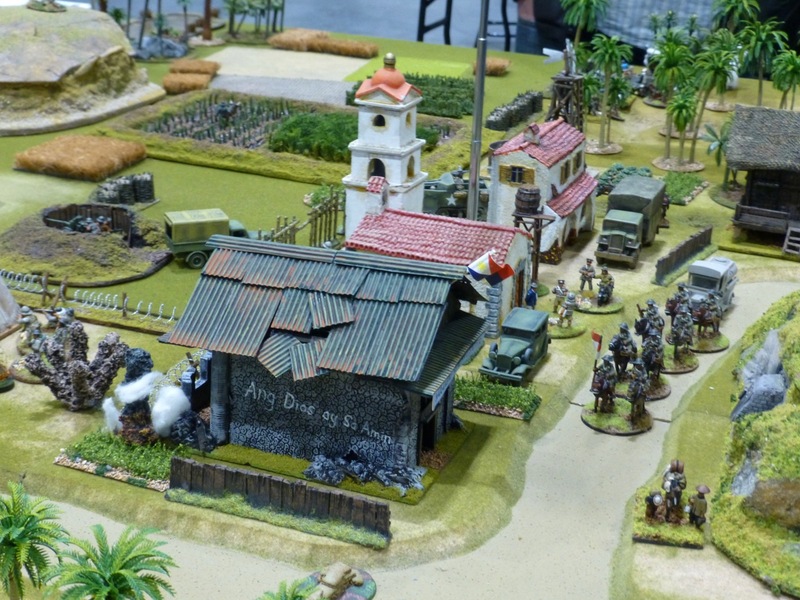 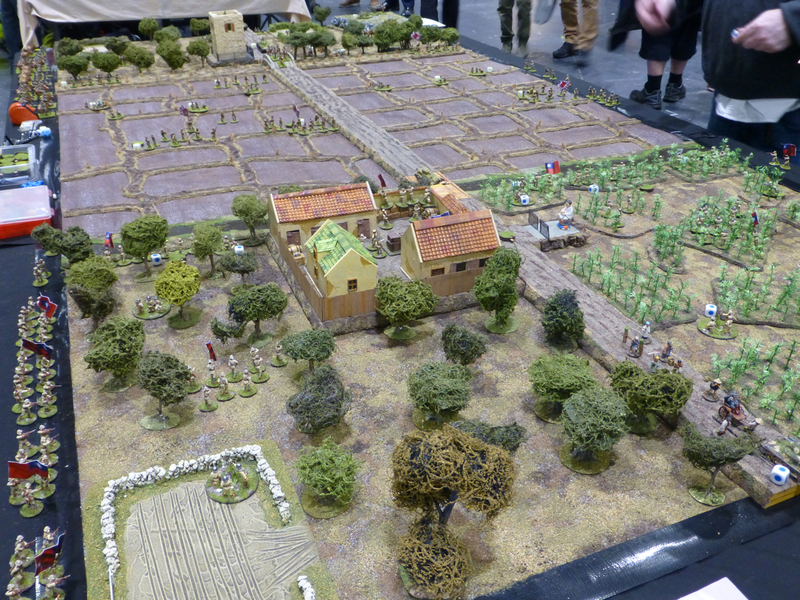 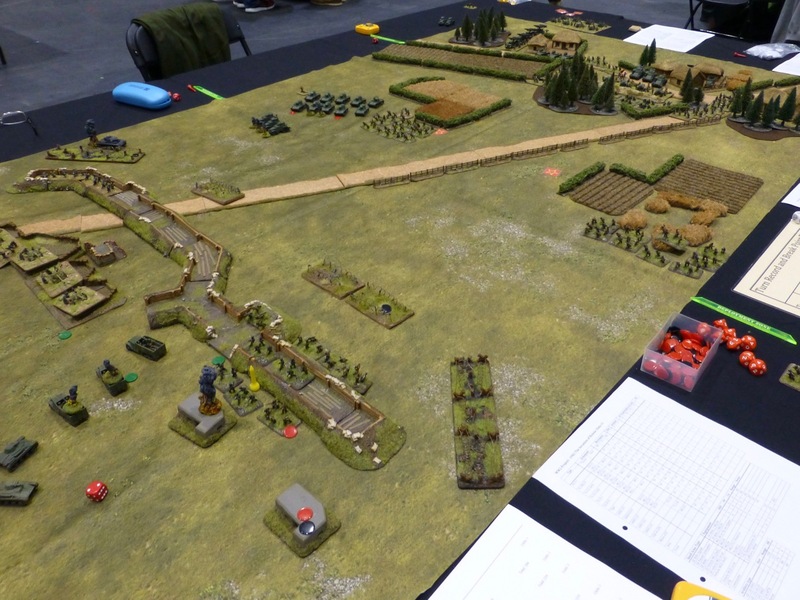 Gringo 40s put on a colonial game at Salute 2019 in the unusual setting of the Tonkin Campaign. 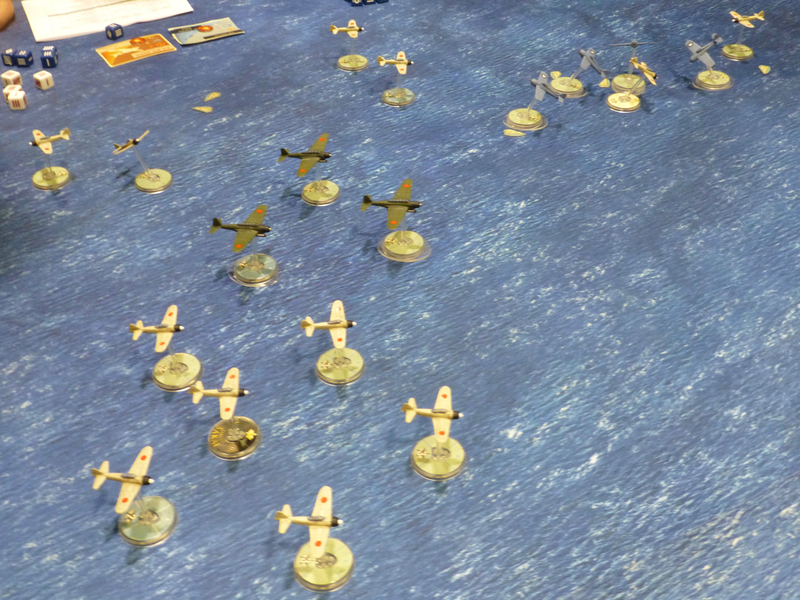 In a combined naval and land action, French troops and their allies went up against the Black Flags. 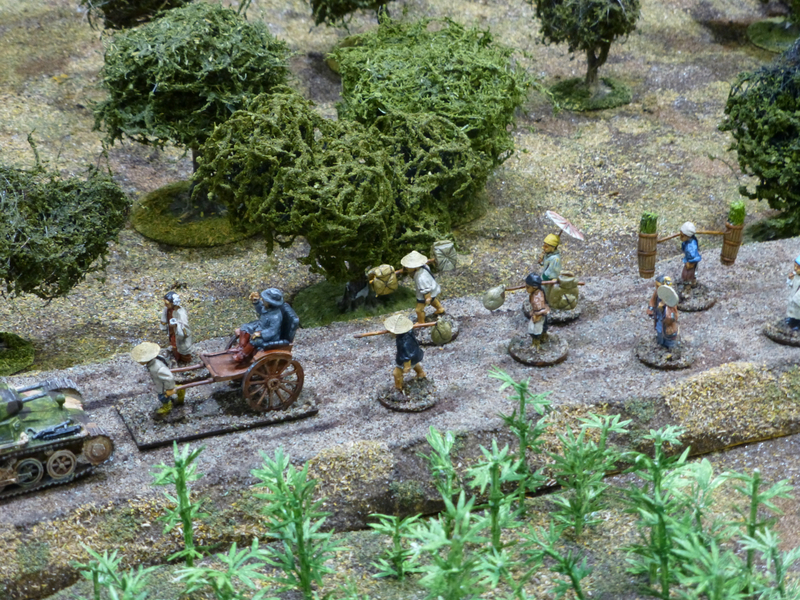 Ardhammer created a battle on the ‘Highway to Hell – the Road to Nanjing’ during the 2nd Sino-Japanese War in 1937. 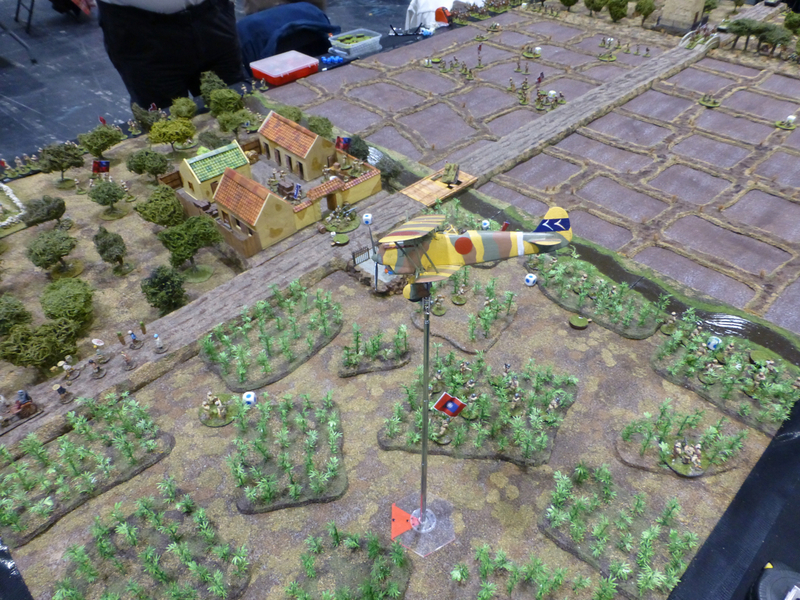 TooFatLardies presented ‘Malaya 1942’ using their Chain of Command rules, pitching Australian forces versus Japanese. 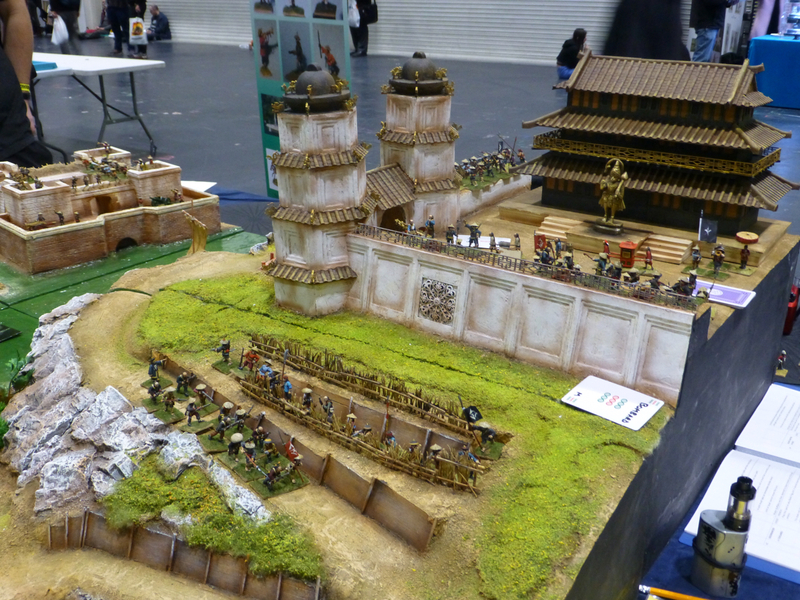 Thank you undeadhighelf for the close-up shots. 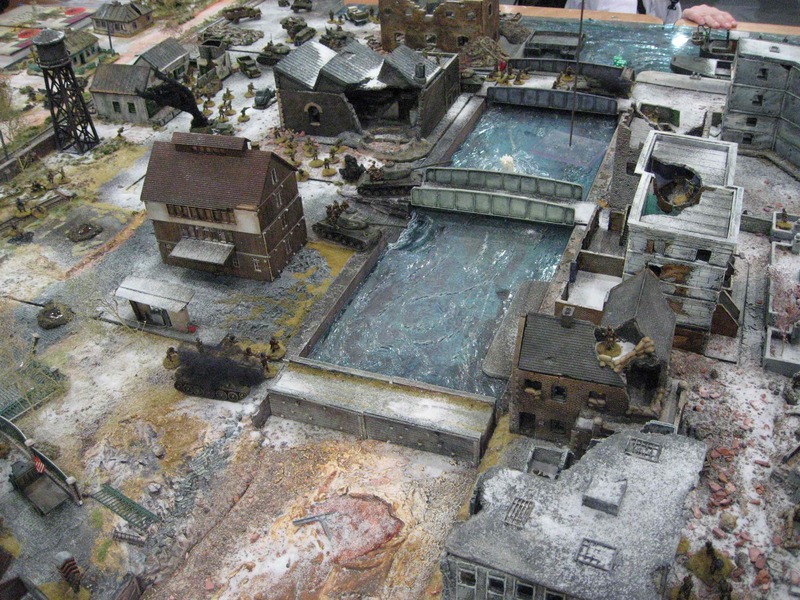 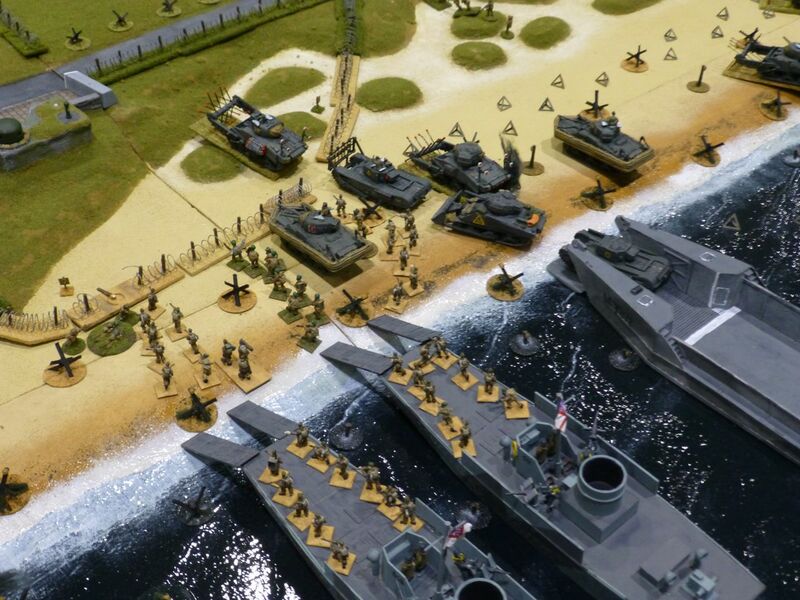 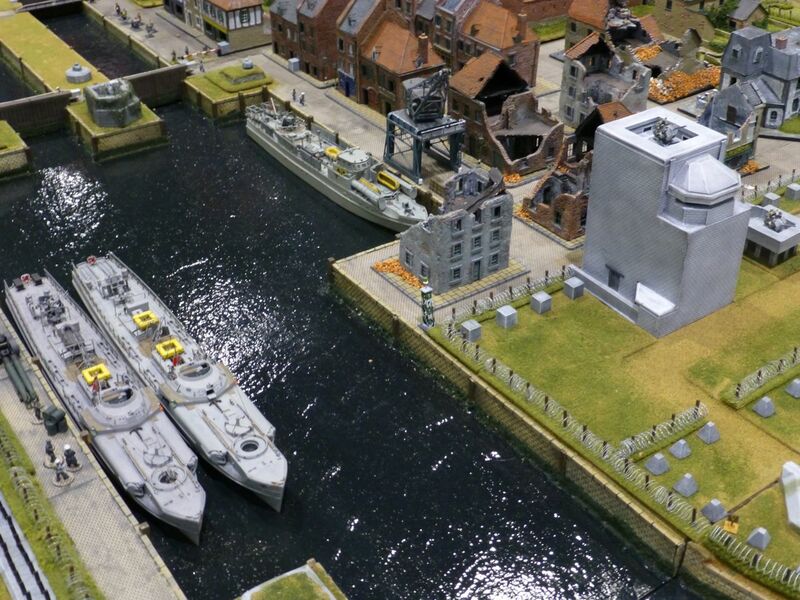 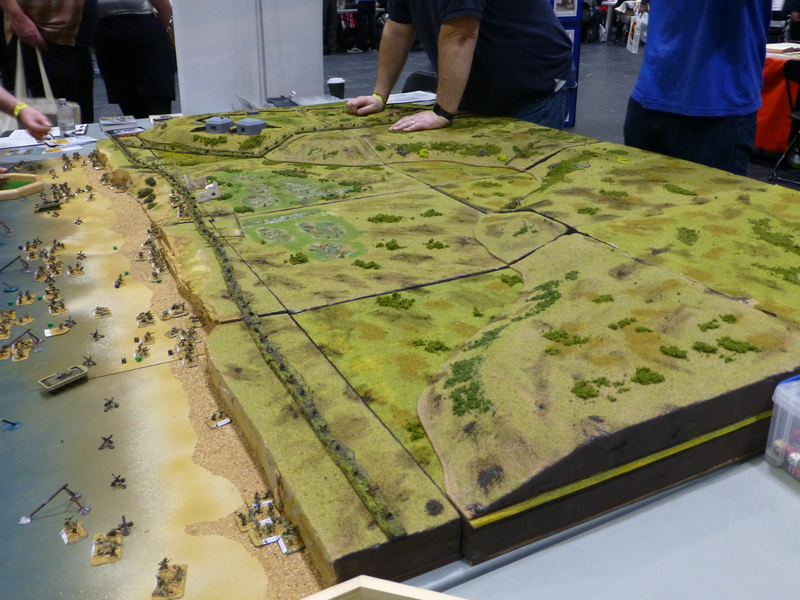 Peterborough Wargames Club staged D-Day landings by US forces on the beaches of ‘Bloody Omaha’. 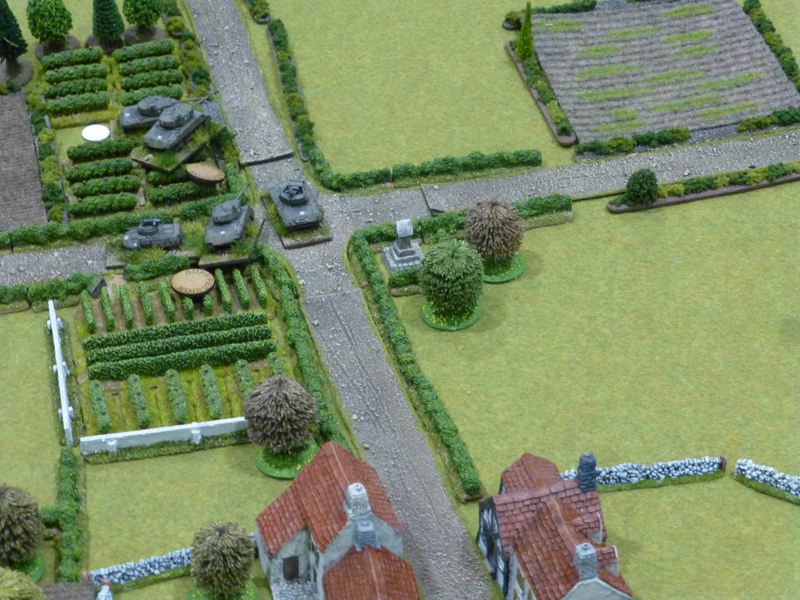 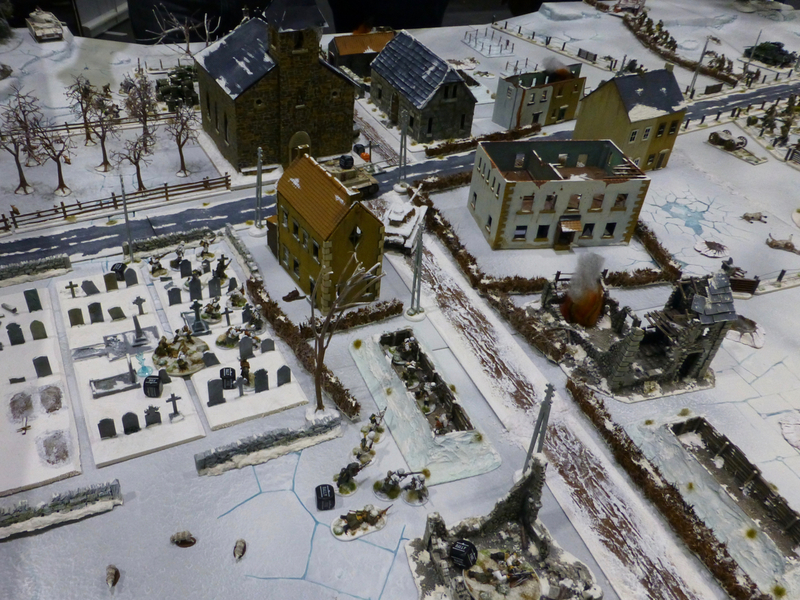 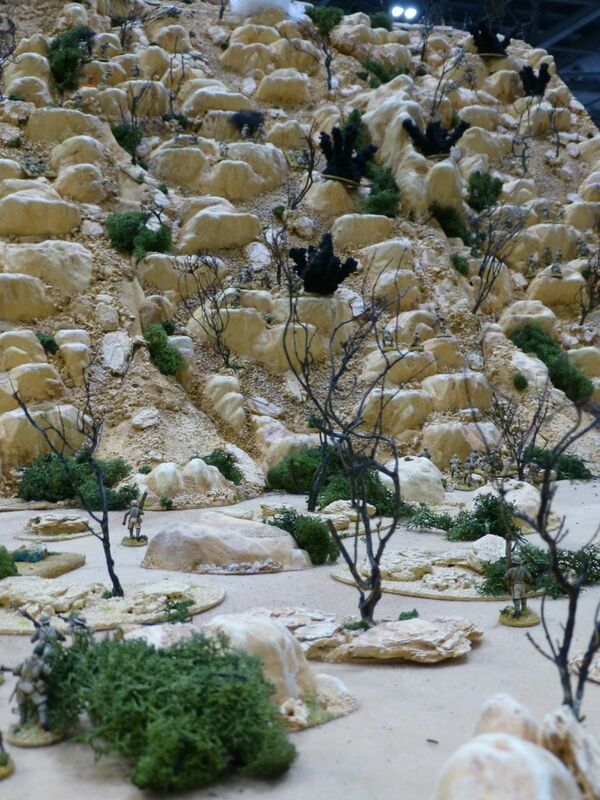 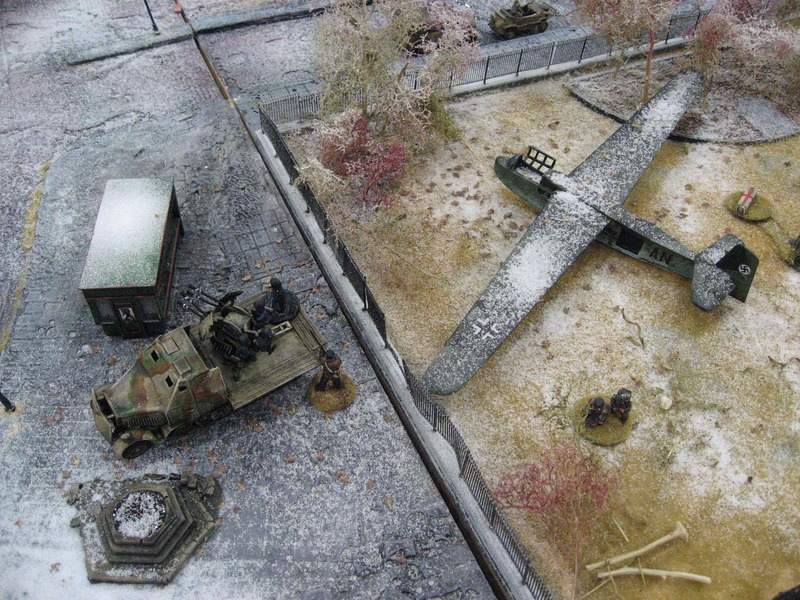 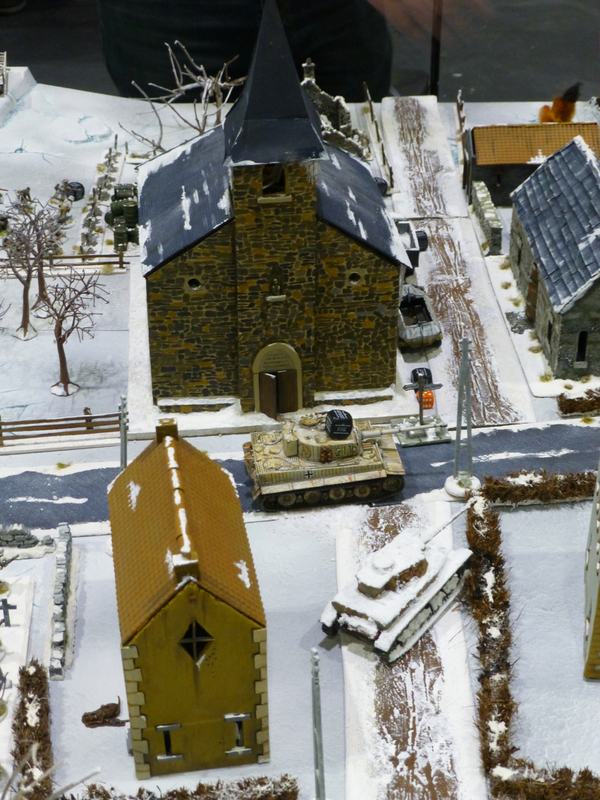 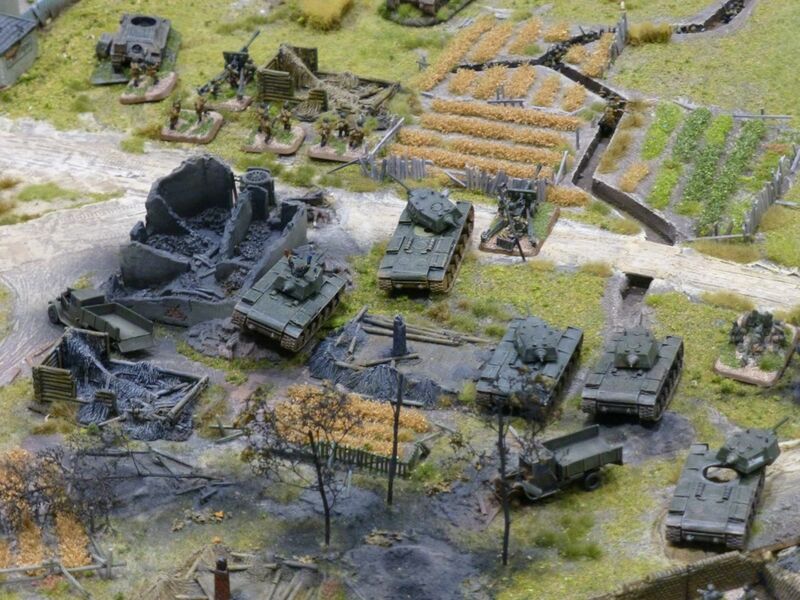 Pendraken Miniatures demonstrated a 10mm scale WW2 battle using their rules set Blitzkrieg Commander. 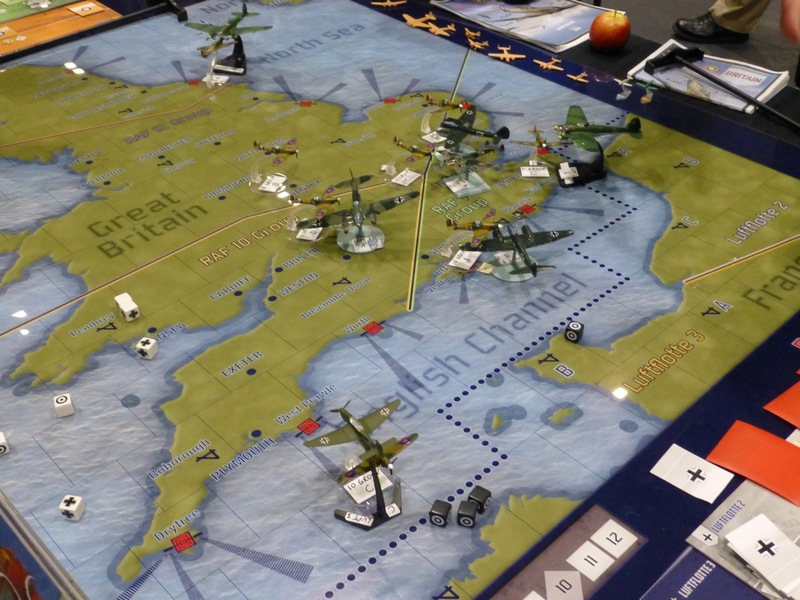 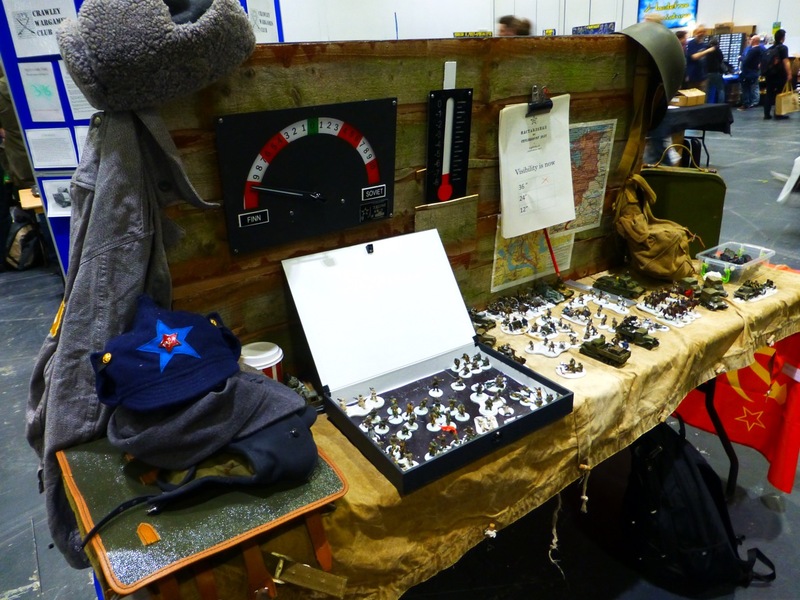 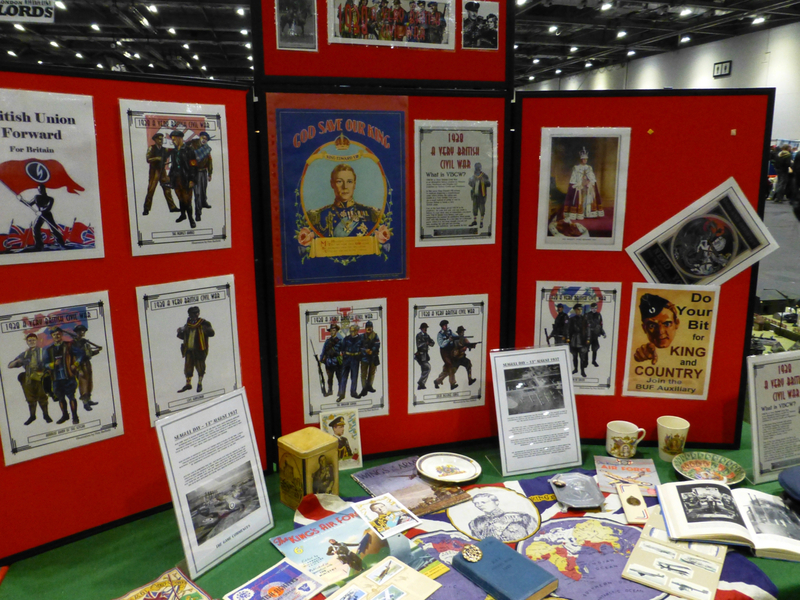 World War 2 with its plethora of rules systems and miniatures ranges was a popular topic again at Salute 2018. 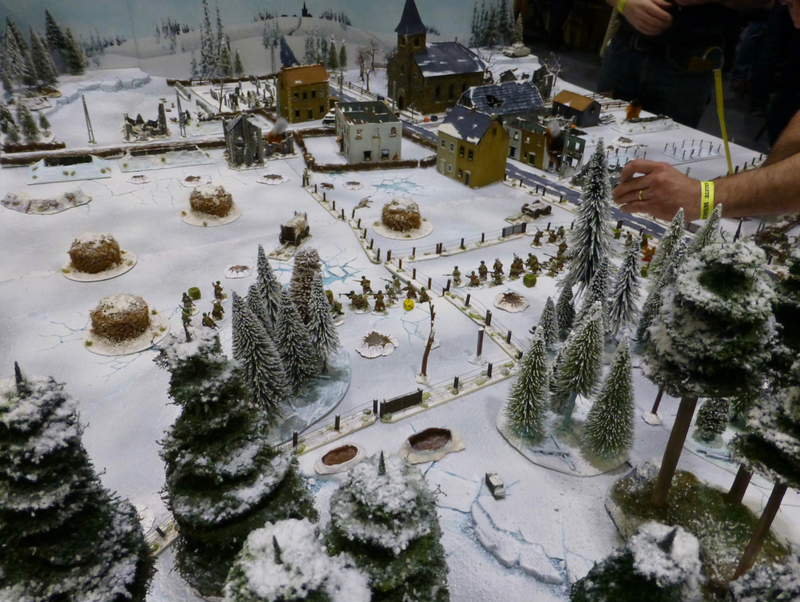 ‘The Battle of Foy’ and its portrayal in Band of Brothers was the setting for a winter engagement using Bolt Action rules. 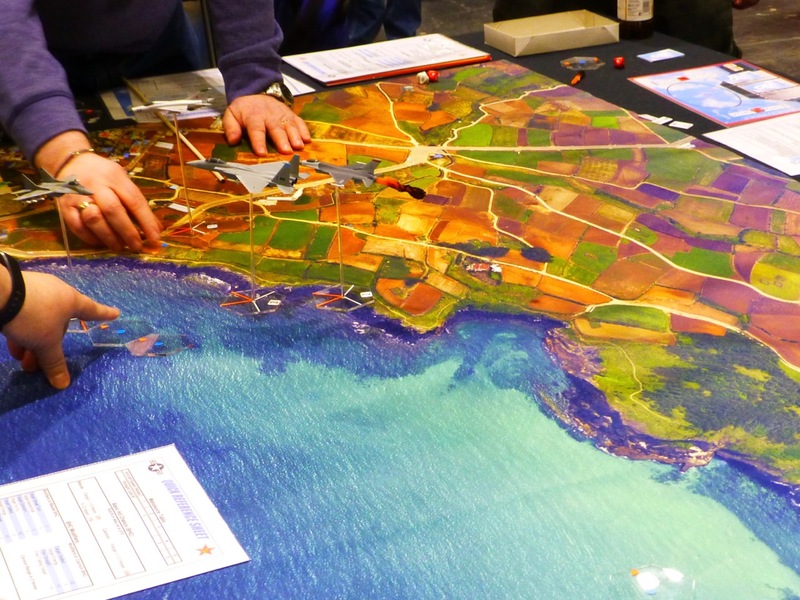 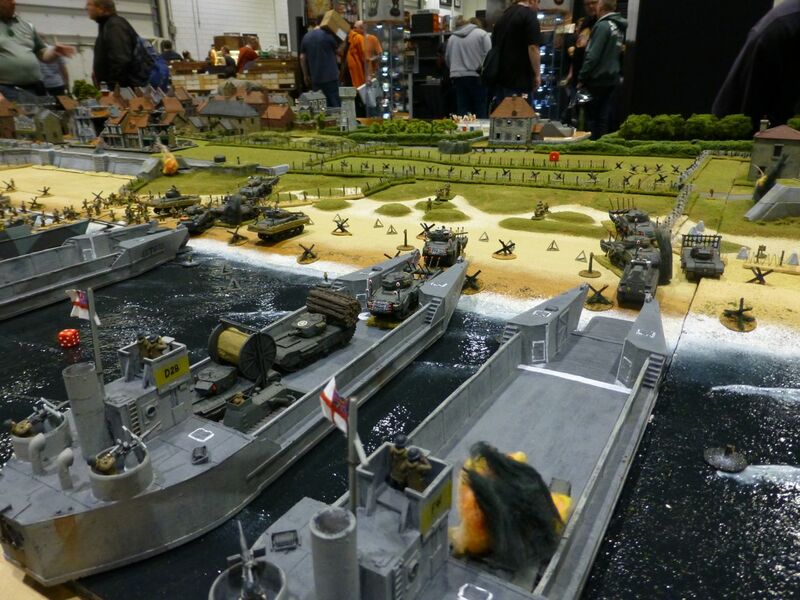 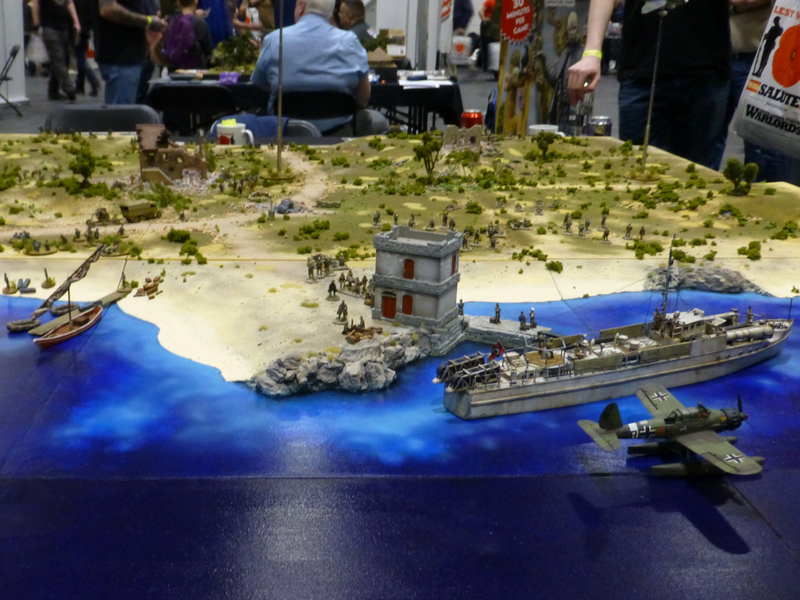 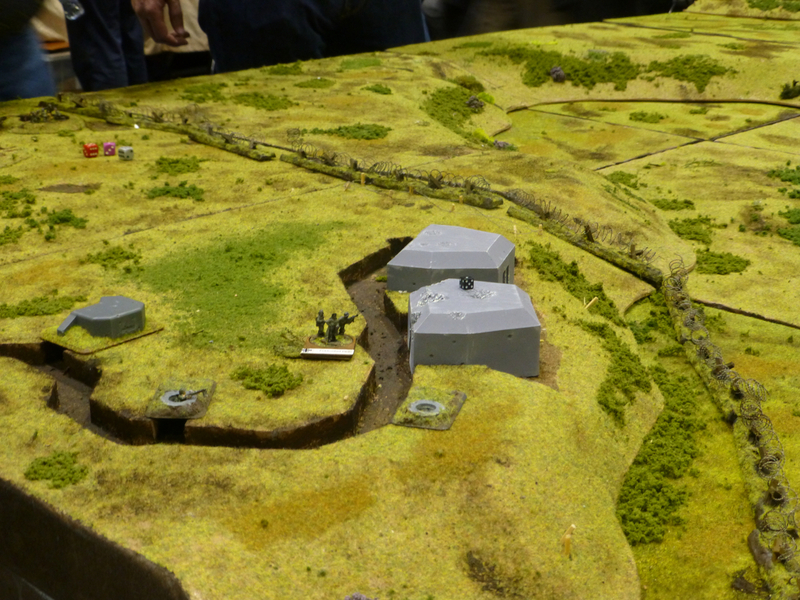 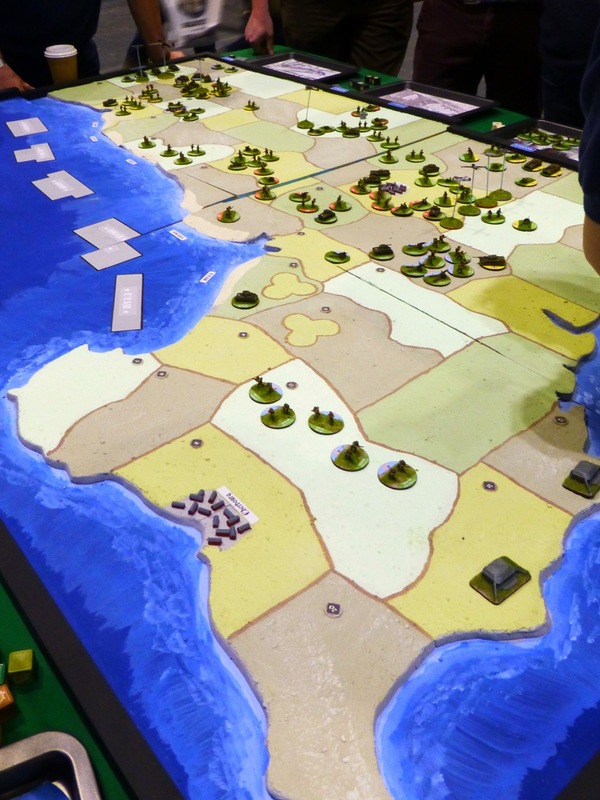 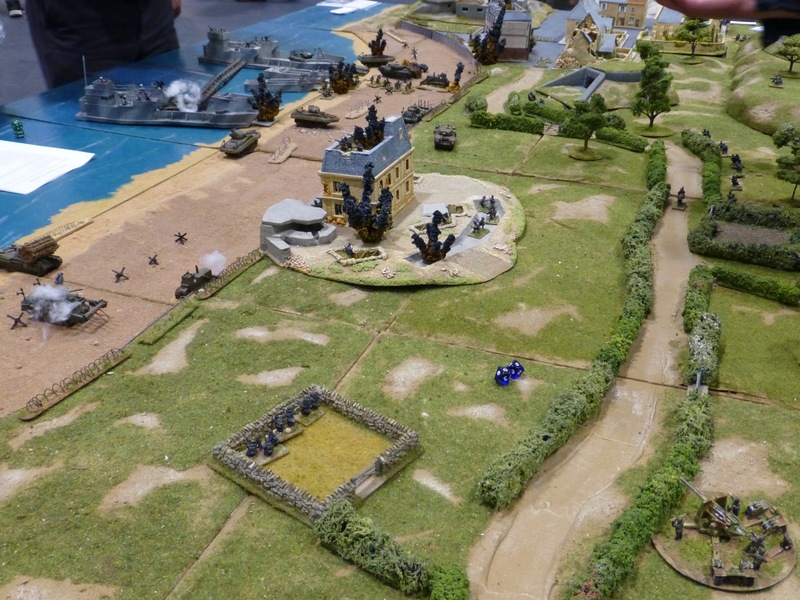 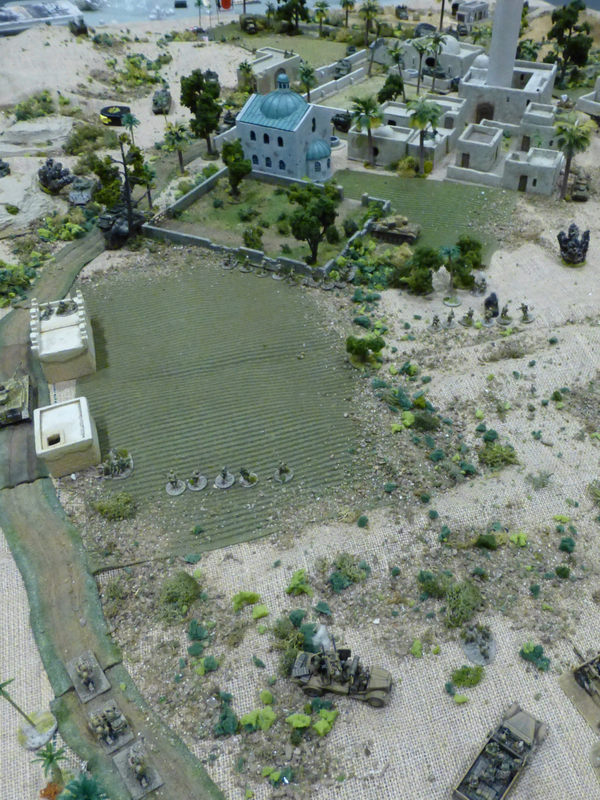 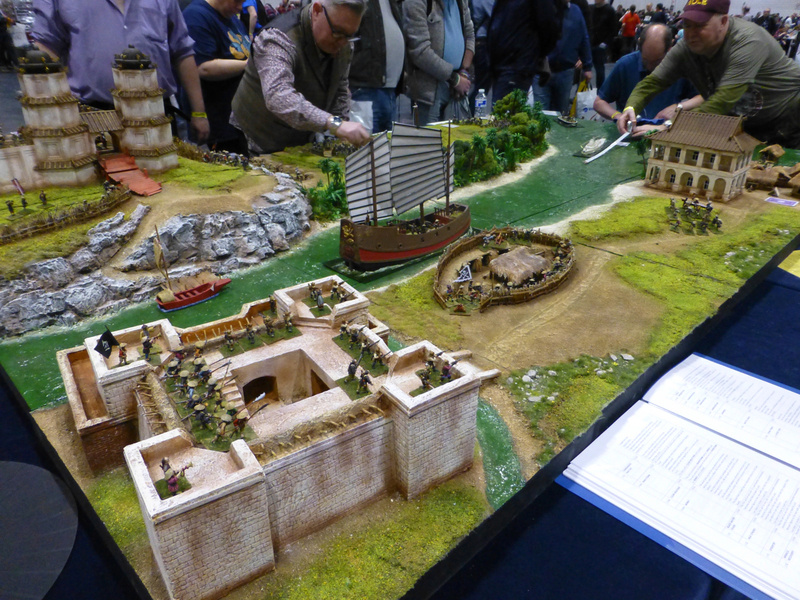 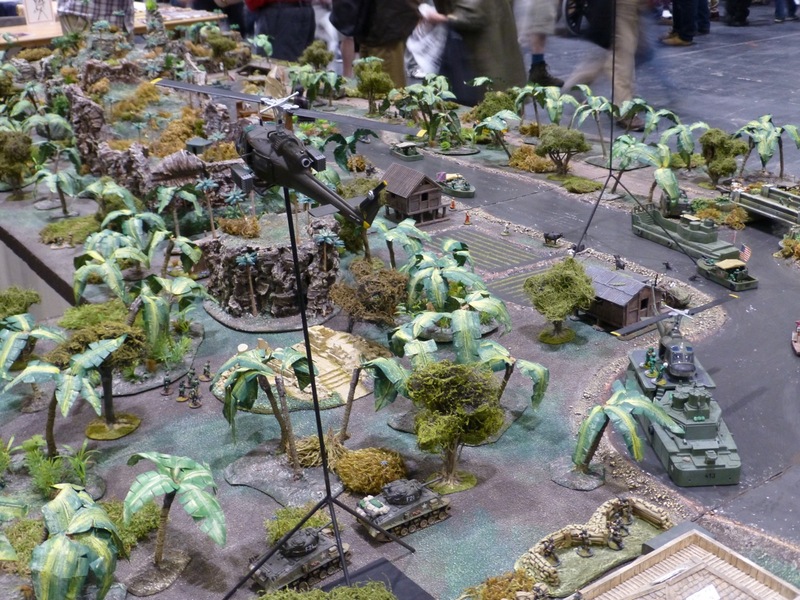 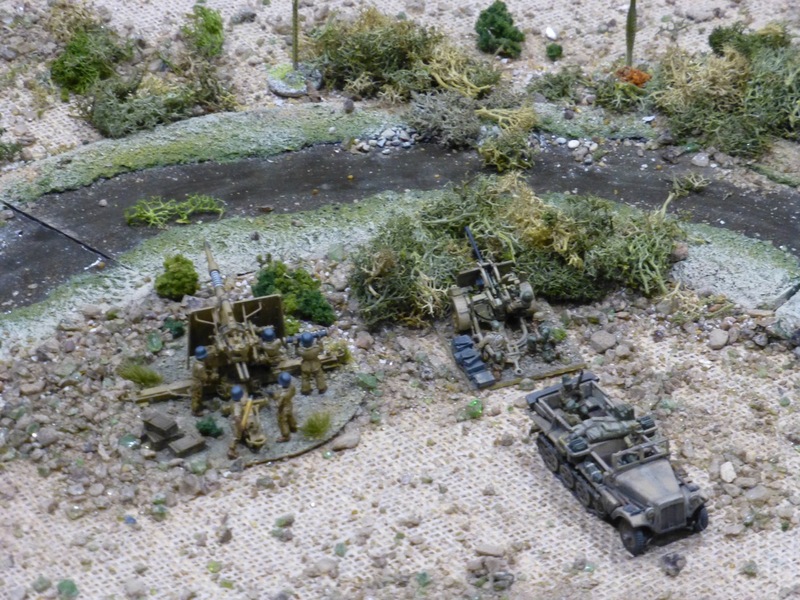 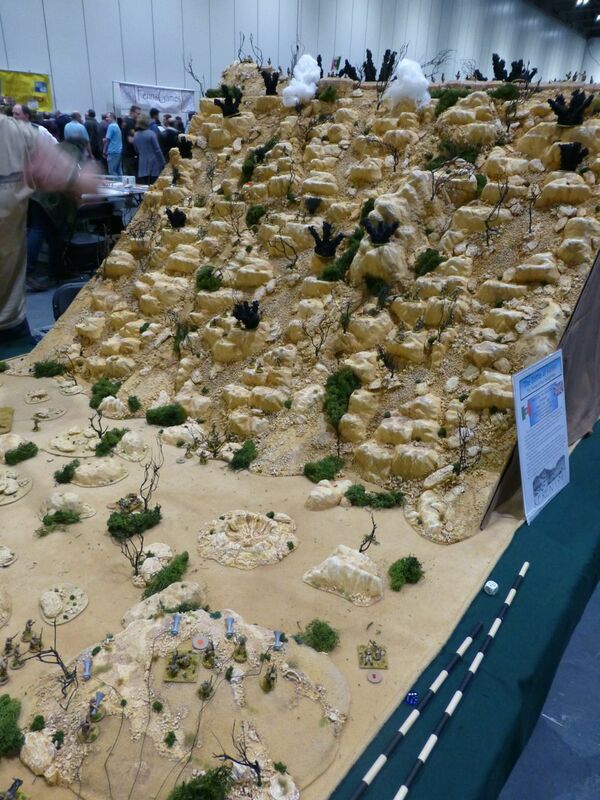 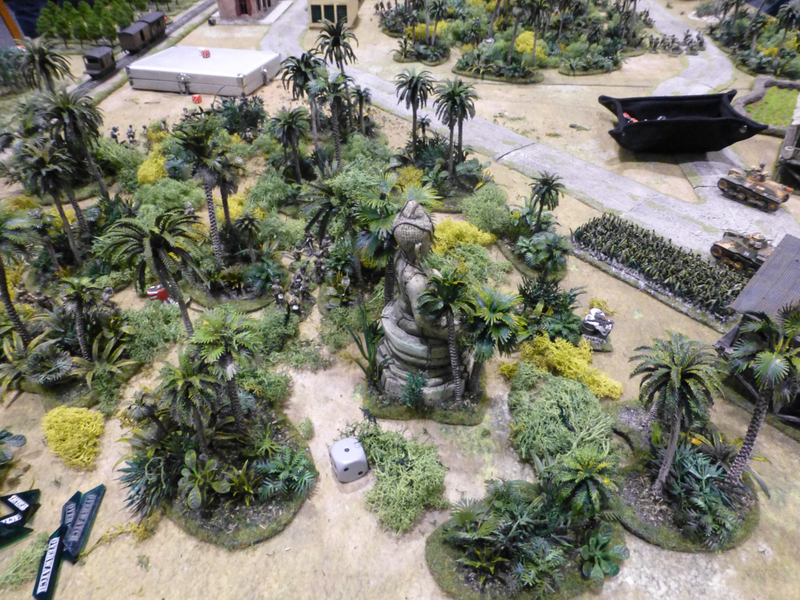 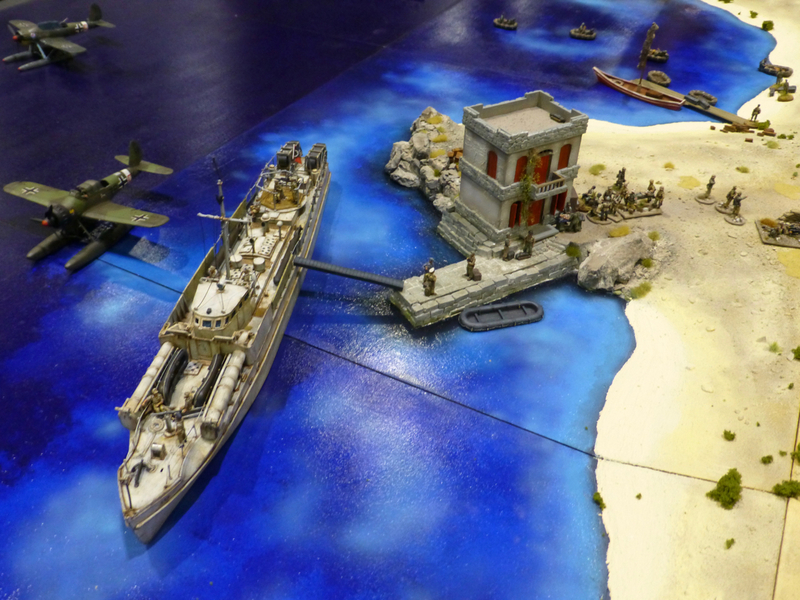 A Few Brits and the Hobby built an impressive table for ‘Operation Taifun – The Battle for Leros 1943’. 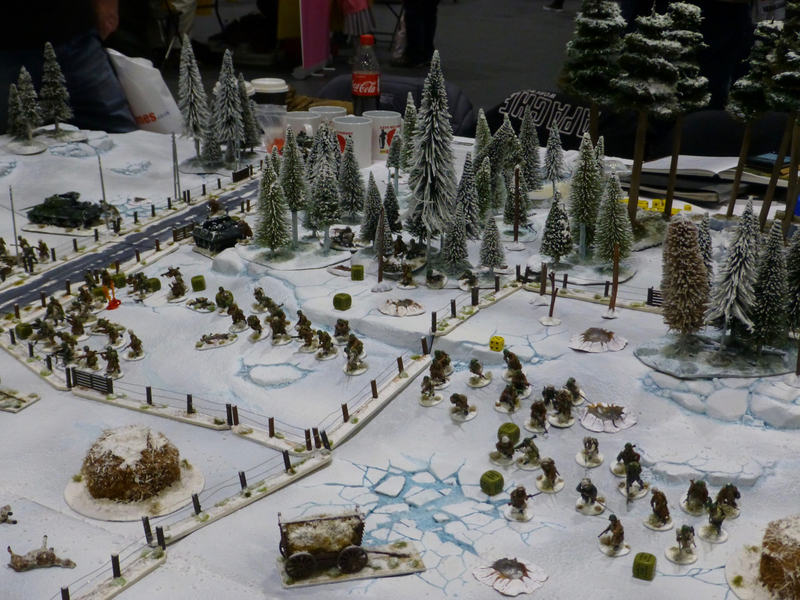 The game was played using Battlegroup rules with the Torch supplement. 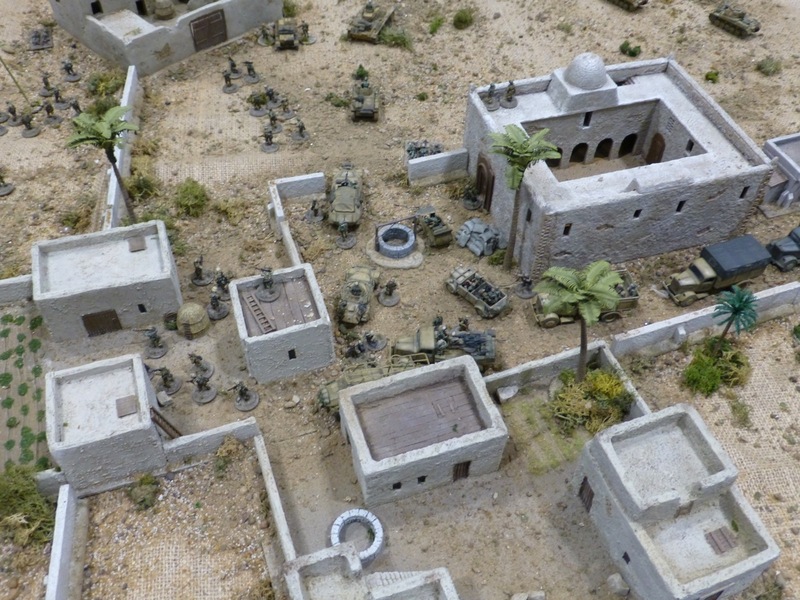 Also using Battlegroup Torch were Ironfist Publishing themselves with their battle in Tunisia of 1943 to take Kasserine Pass. 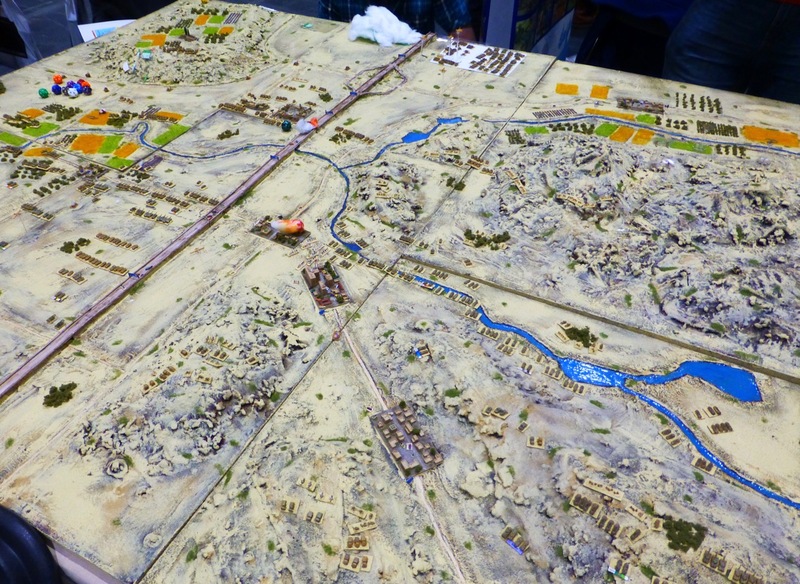 Thanks to undeadhighelf for the additional photography. 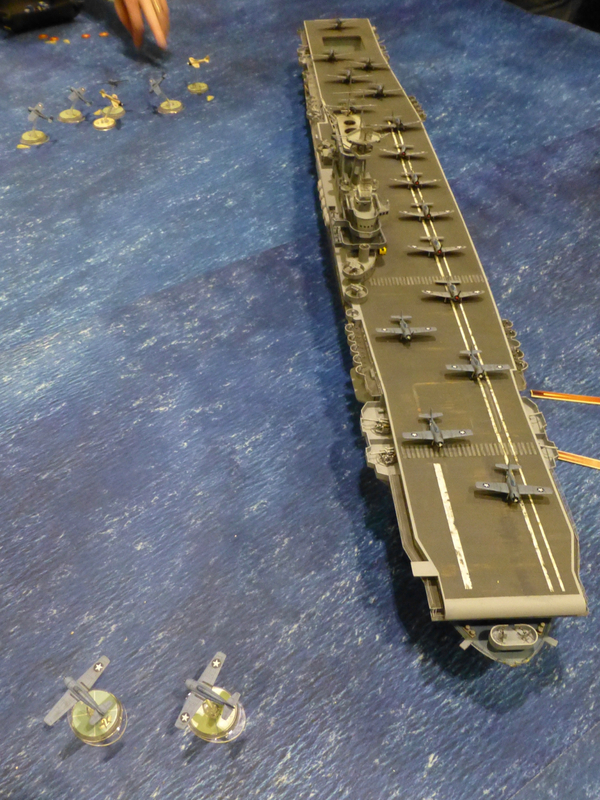 Warlord Games’ Blood Red Skies was used to simulate an attack on an aircraft carrier during the battle of the Philippine Sea in ‘Sink the Hornet’. 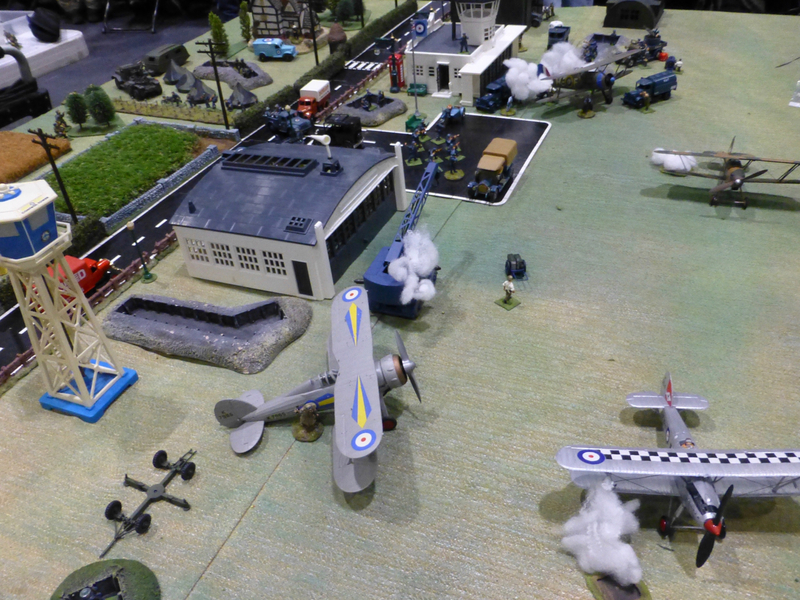 ‘Seagull Day’ was set in the alternative timeline of A Very British Civil War in 1937 and brought to the table by the Gentlemen’s Wargames Parlour. 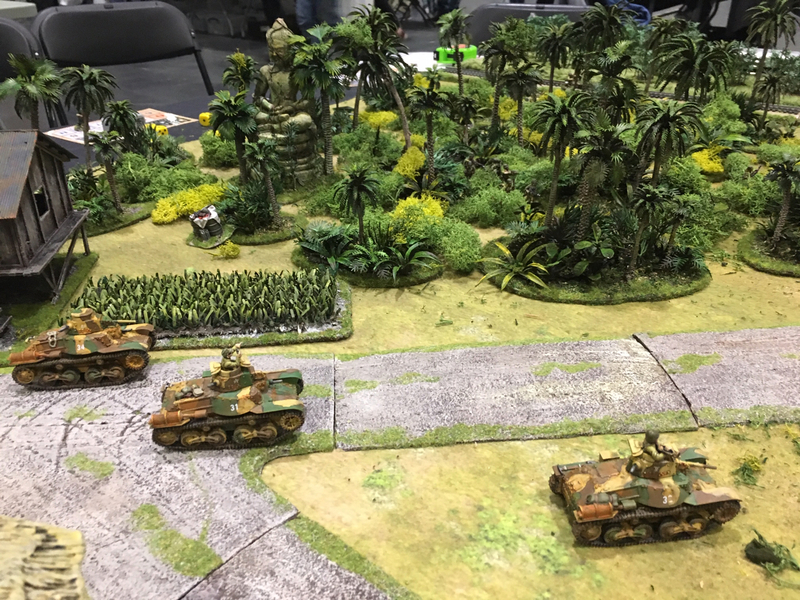 The ‘Tiger, Tiger Burning Bright’ participation games by Crawley Wargames Club had multiple T-34s trying to corner and destroy a Tiger tank. 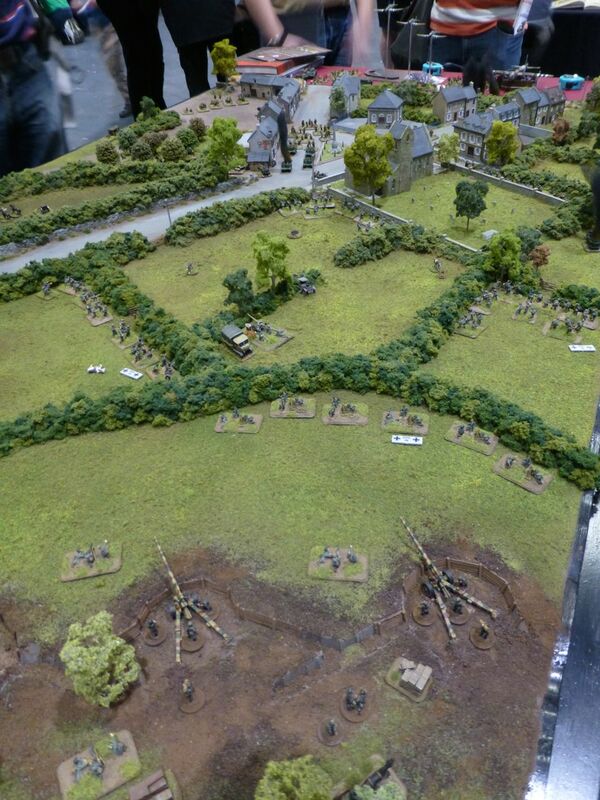 Abbey Wood Irregulars staged a battle during the Normandy campaign using Mission Command rules. 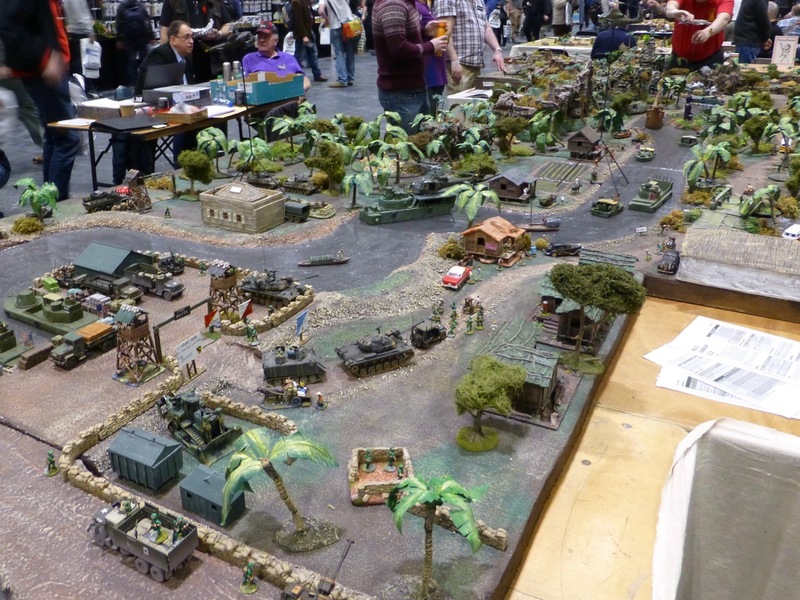 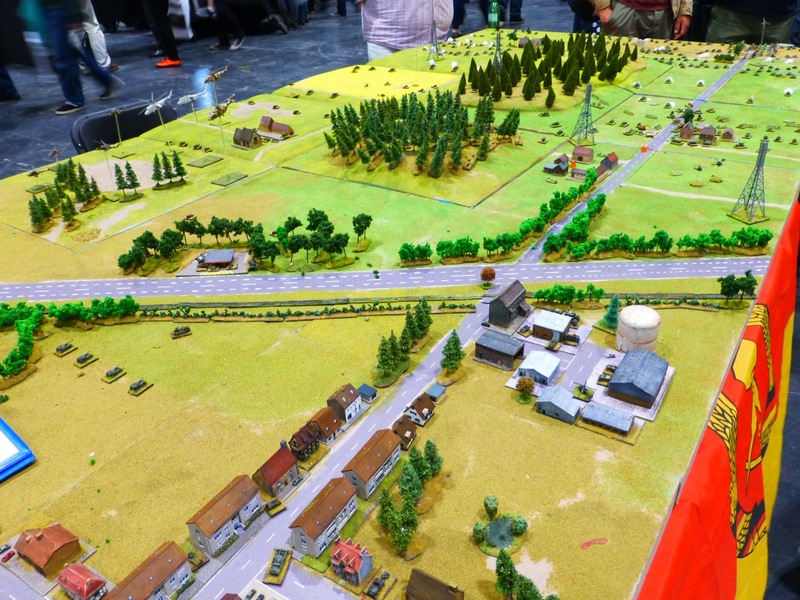 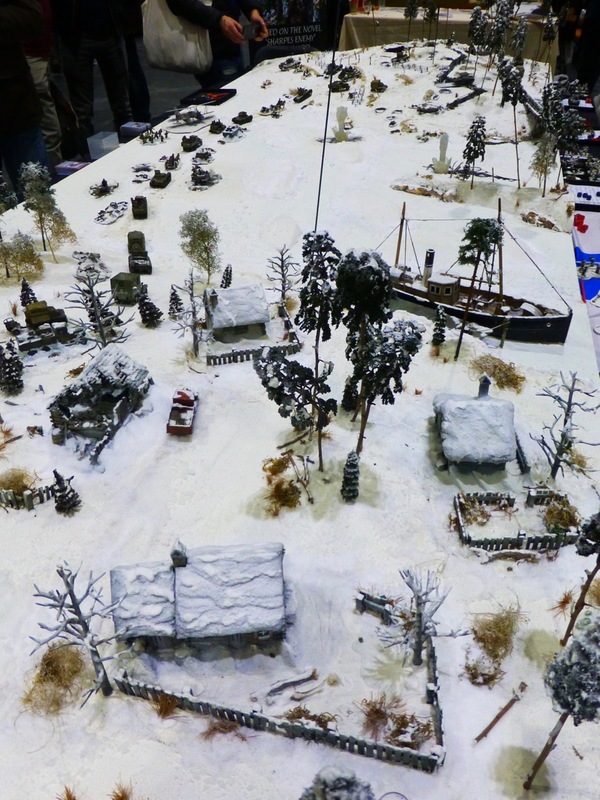 World War 2 was the theme of many wargaming clubs who had brought their tables to Salute 2017, spanning multiple theatres of operation. 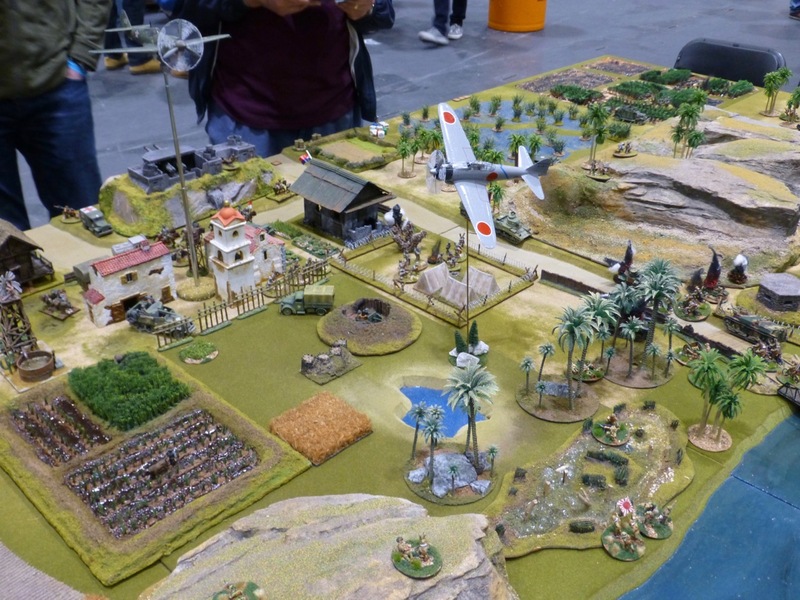 A lot of attention to detail had gone into a scenario during the Japanese invasion of the Philippines in 1942 which was hosted by the Crewe and Nantwich Wargames Club. 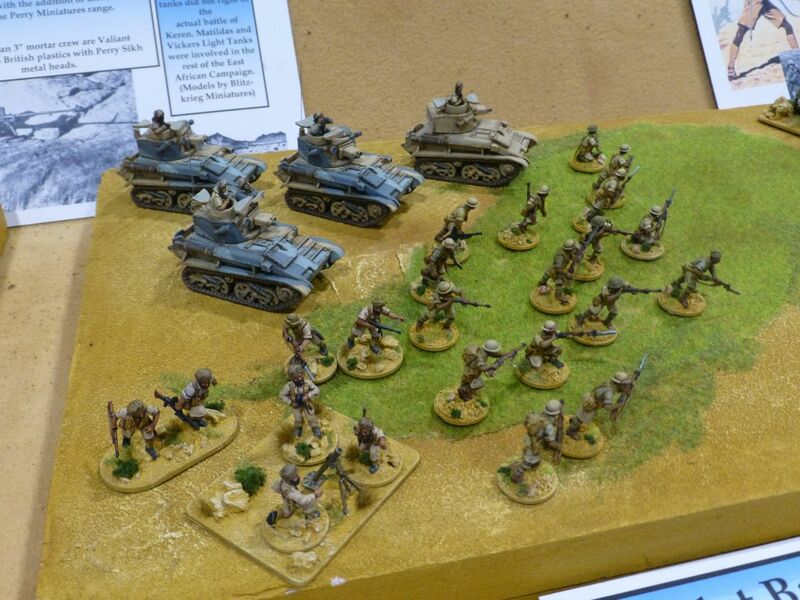 Ironfist Publishing fought in the Battle of Tobruk using the Battlegroup ruleset (my current forerunner in rulesets if I were to ever start a WW2 collection). 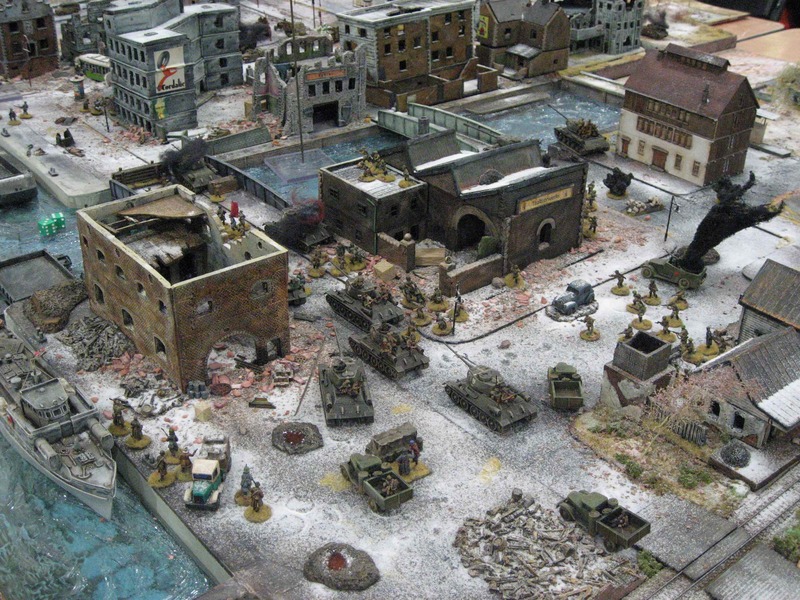 A very different take on the subject came from the Gamers in Thanet Society. 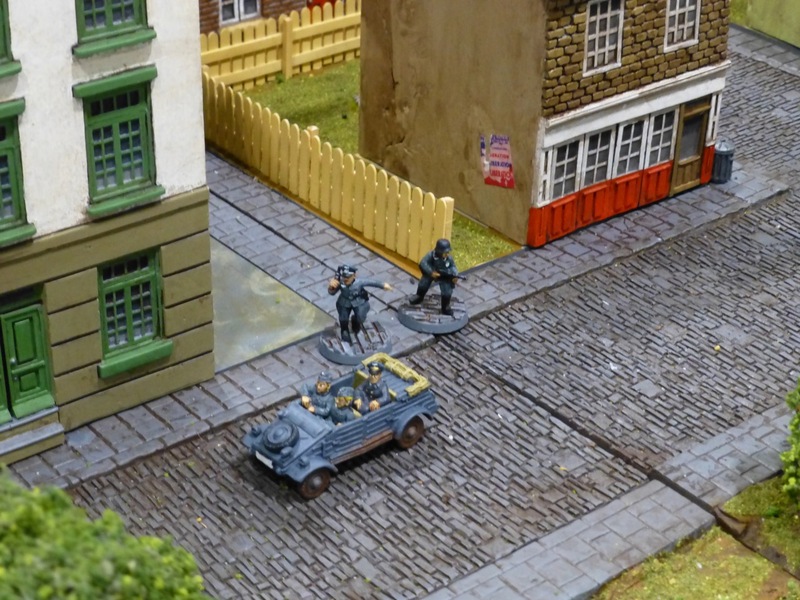 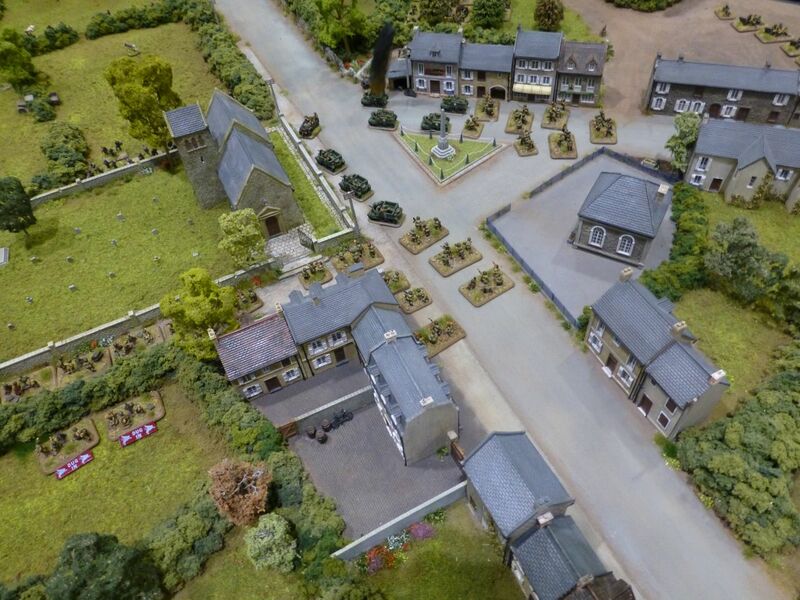 Here escaped POWs needed to evade capture in a lovingly modelled town. 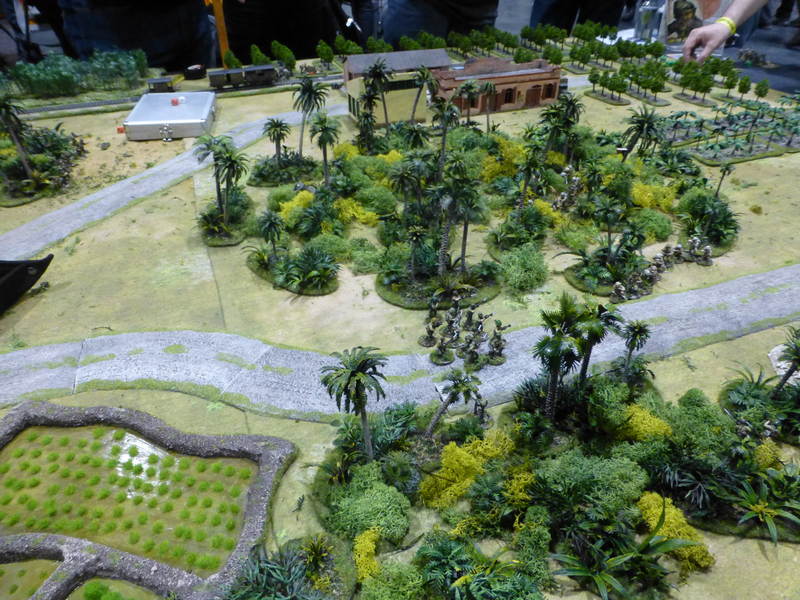 The unusual battlefield of the Babaoshan Golf Course was the setting for an engagement during the 2nd Sino-Japanese War. 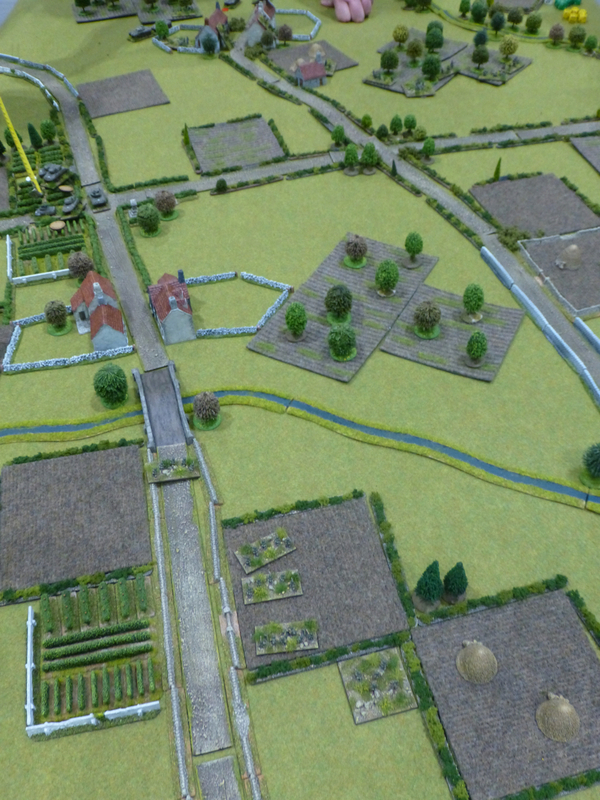 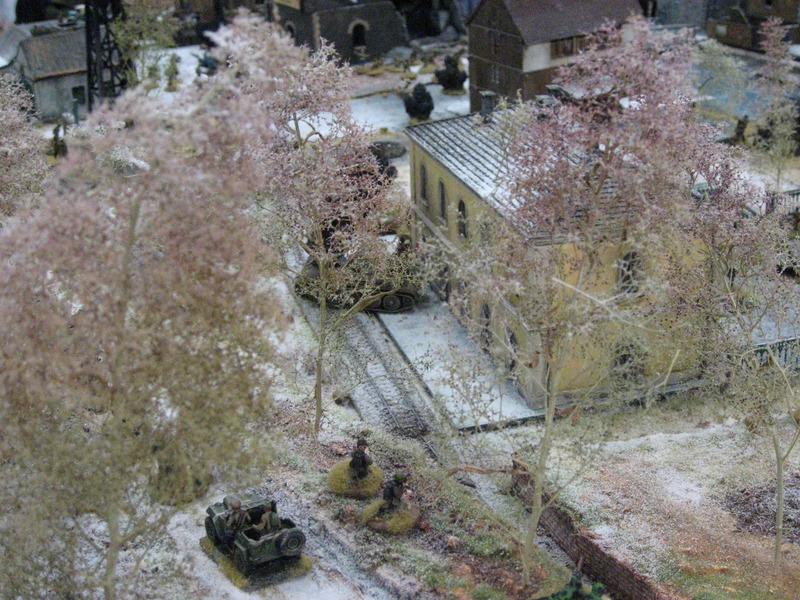 The Tunbridge Wells Wargaming Society led a Russian counterattack on a prepared German position in 1942, using 15mm armies. 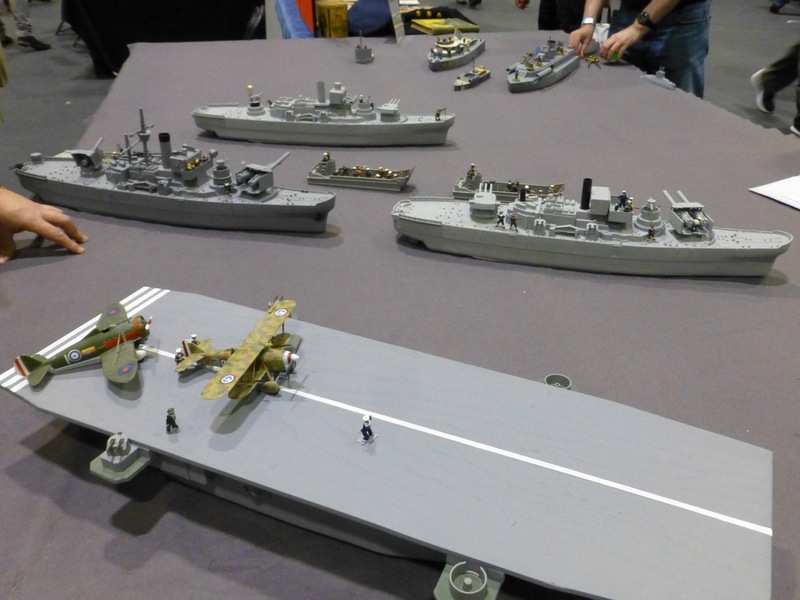 There was even more variety on display, with battles in the air, at sea and across the seasons. 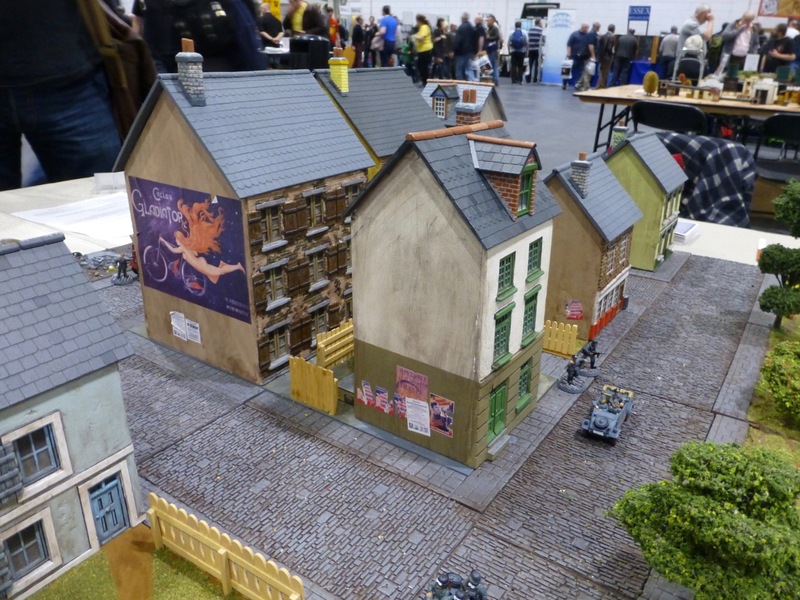 Since the photos from Salute 2013 were very popular and I need to catch up on some painting myself to showcase, I have been going through my archives from previous years. 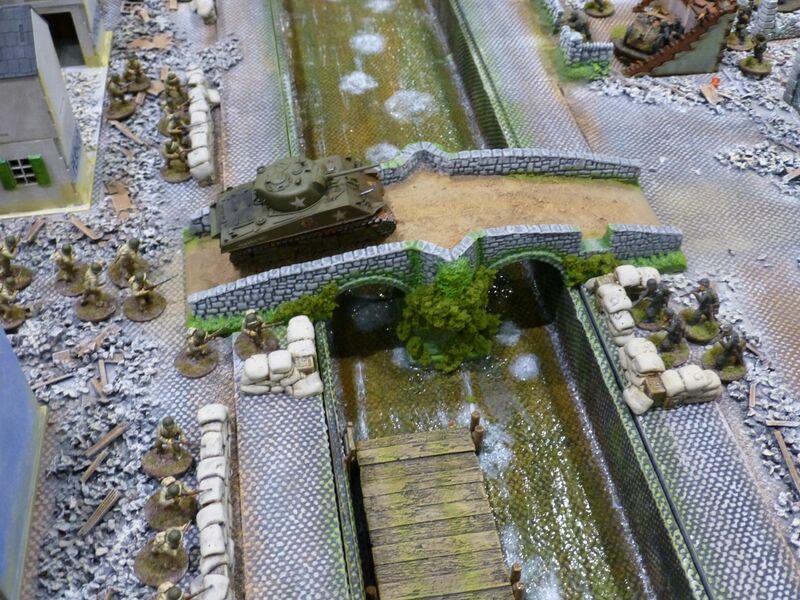 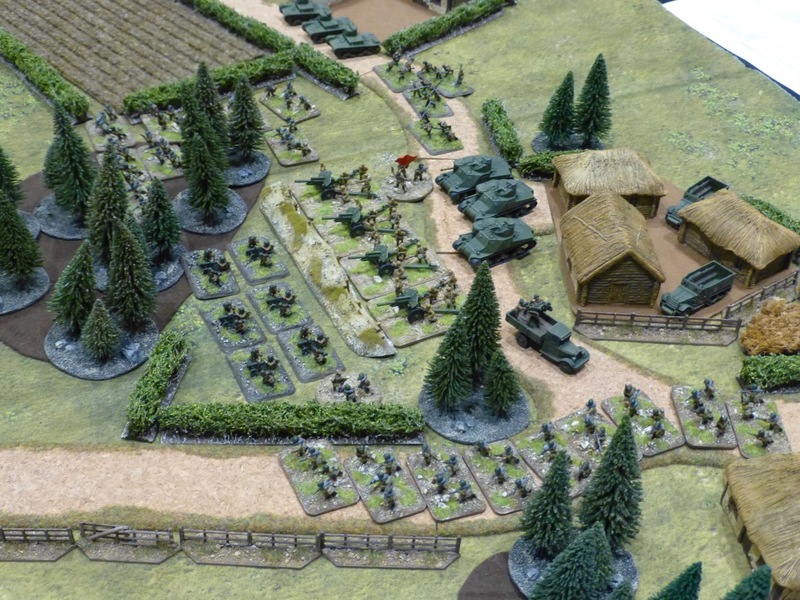 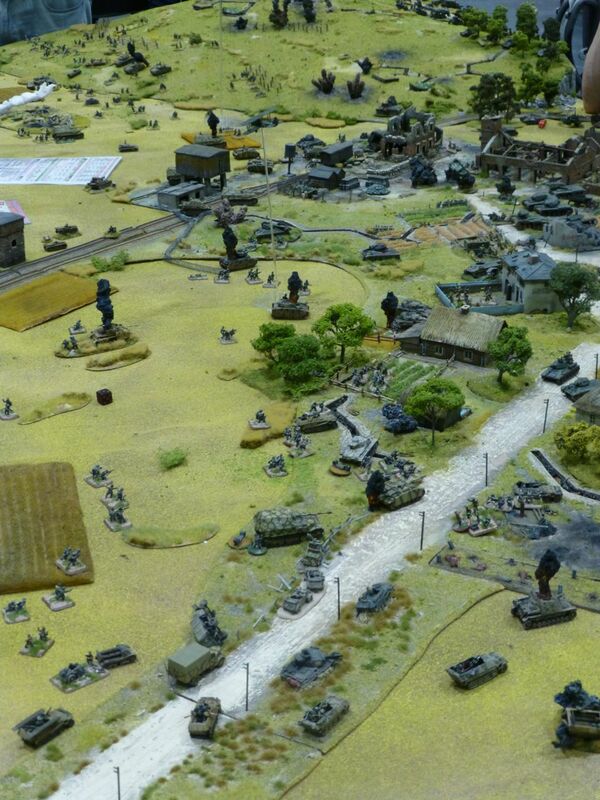 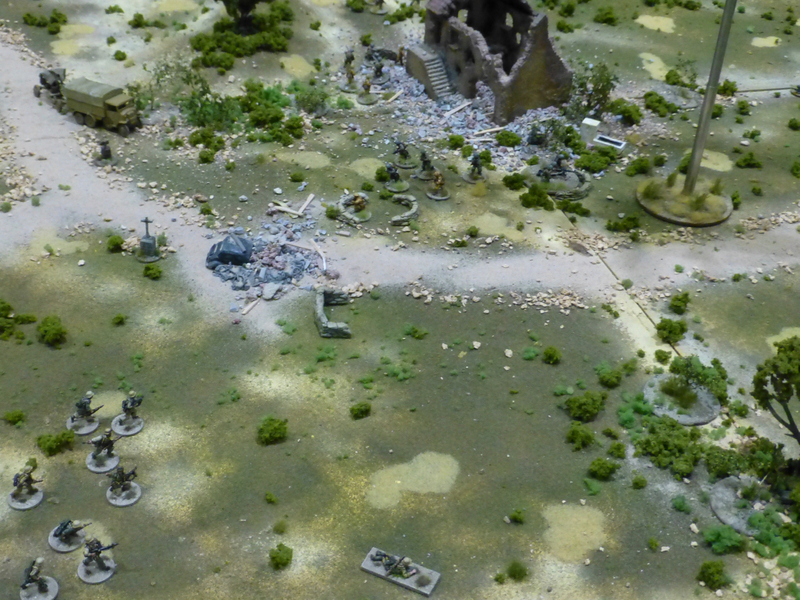 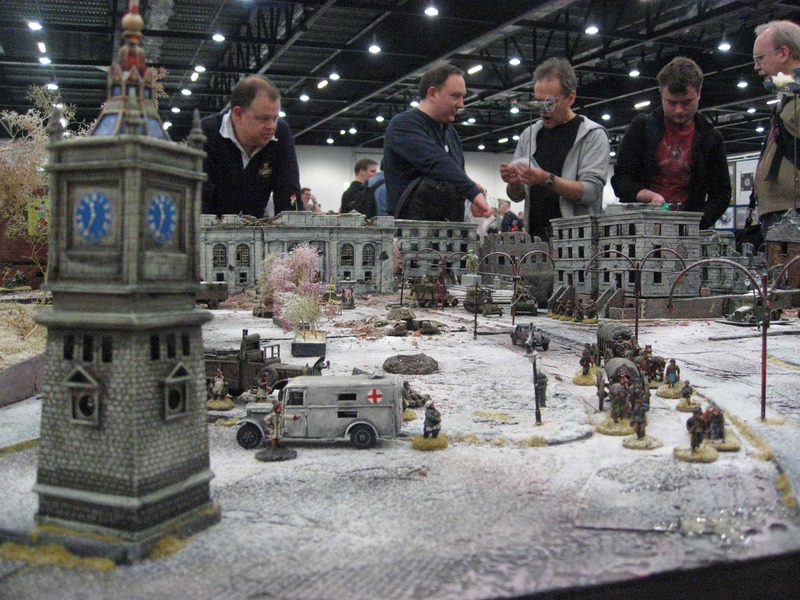 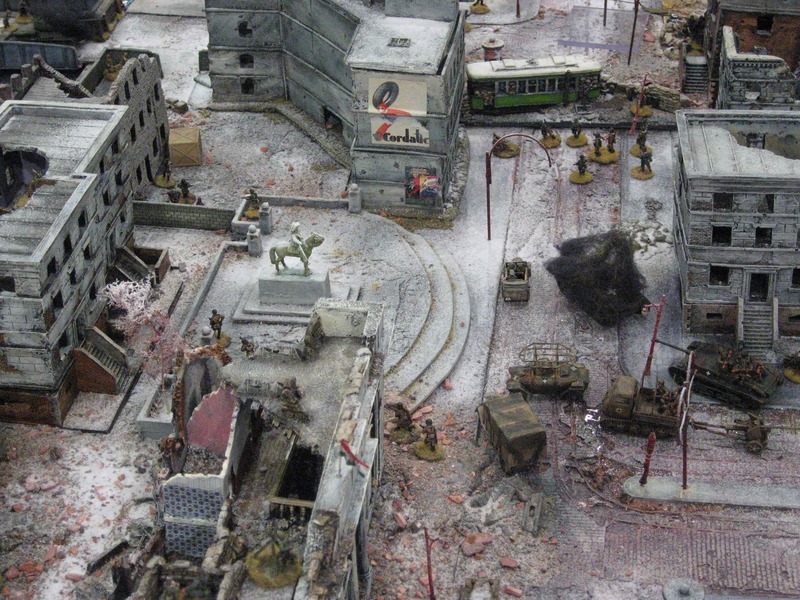 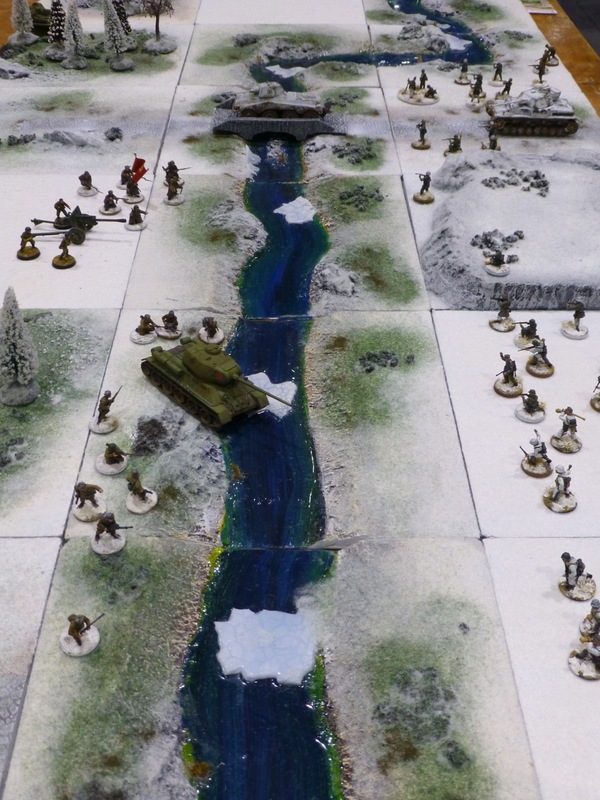 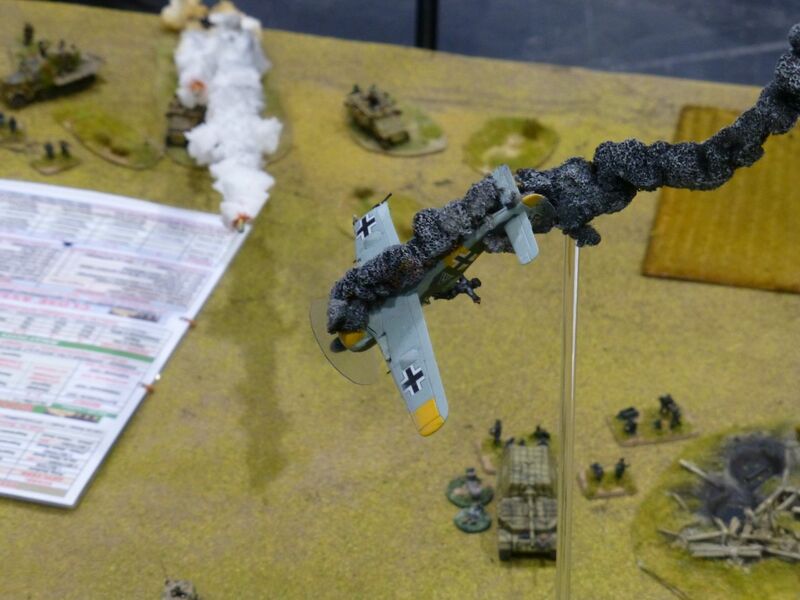 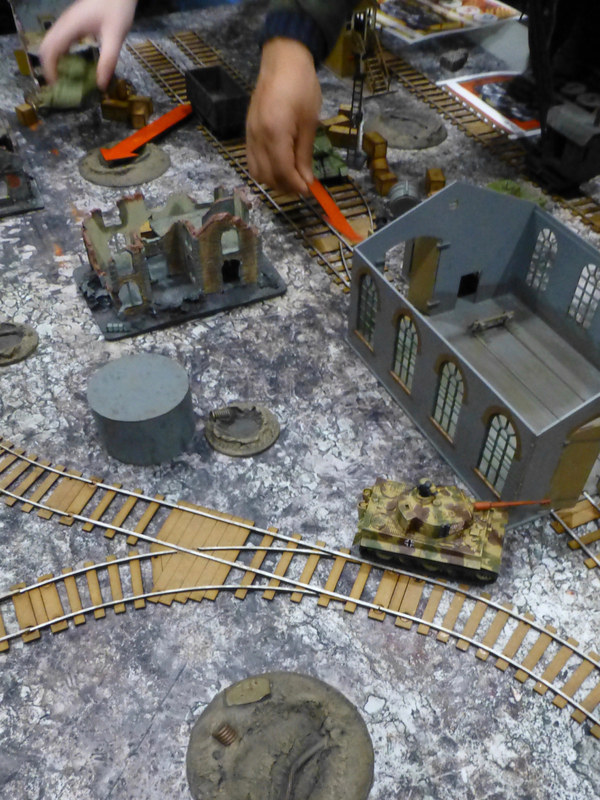 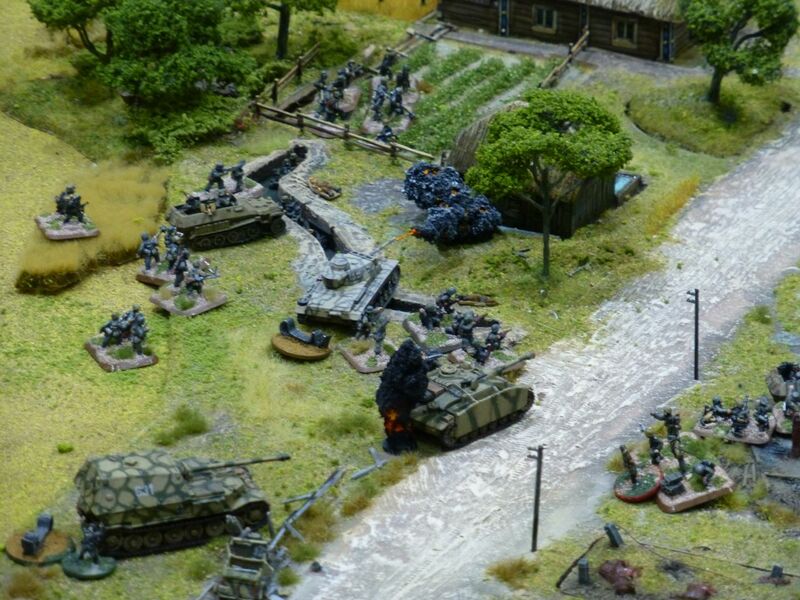 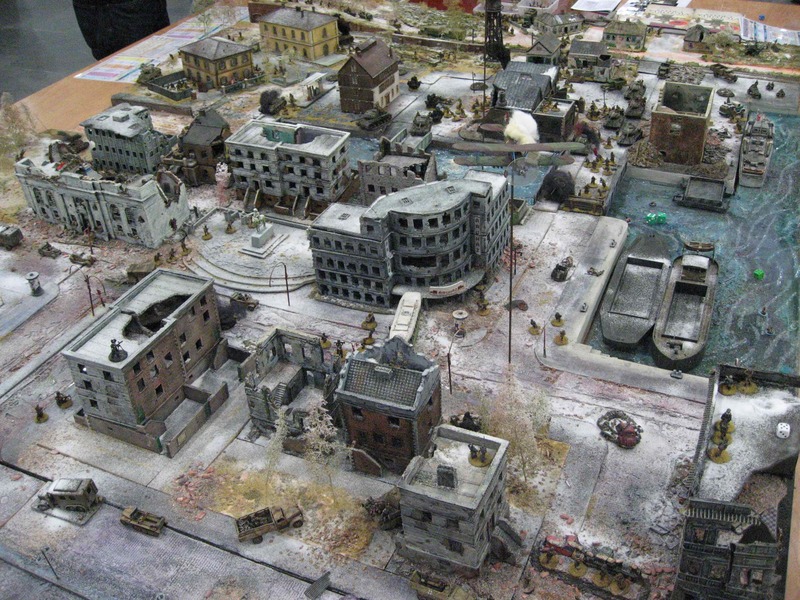 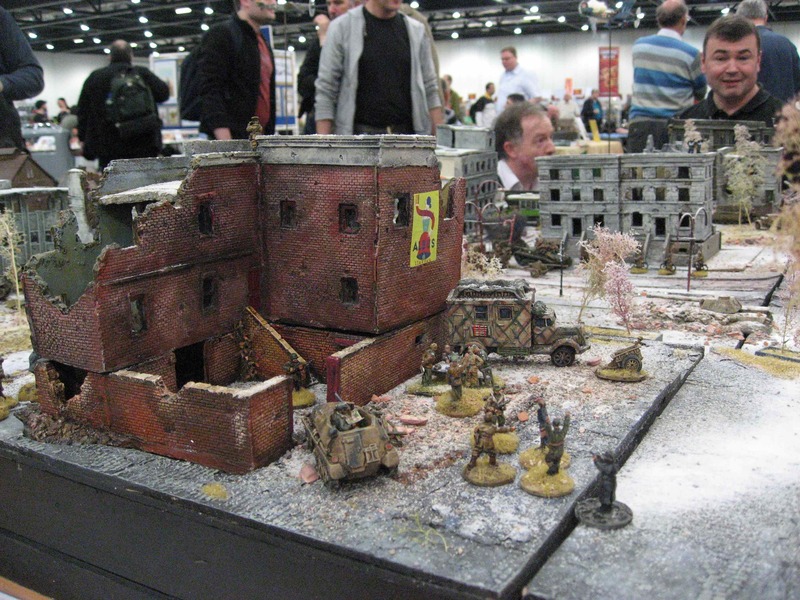 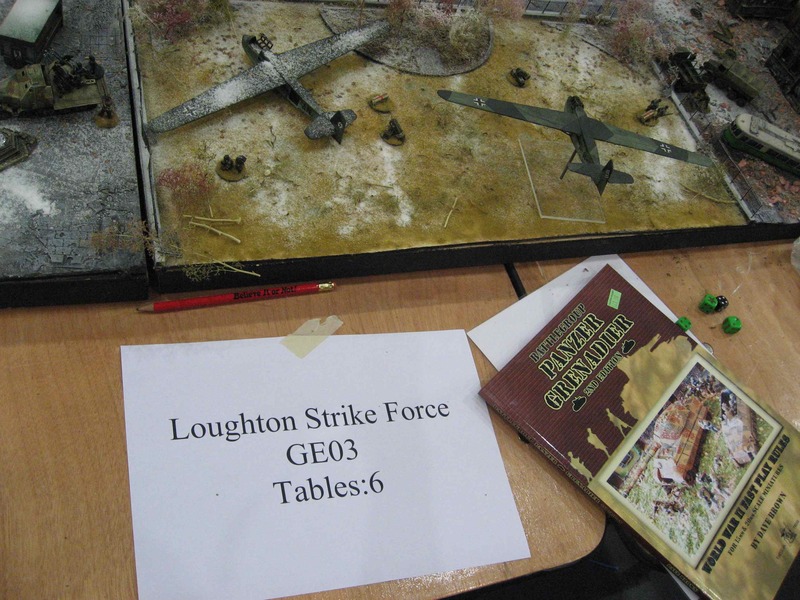 Here some pictures of a fantastic table by the Loughton Strike Force, depicting the battle for Budapest in 1944. 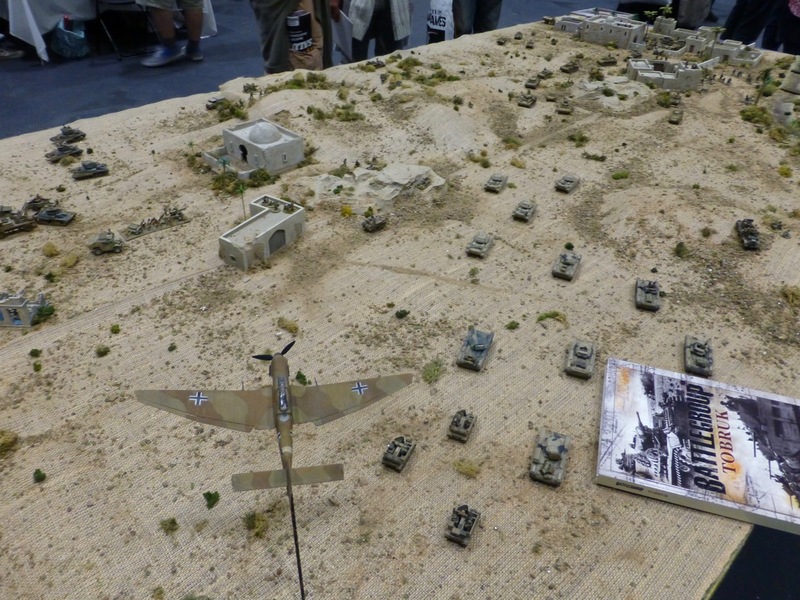 Very inspirational, though I don’t wargame WW2 myself (yet). 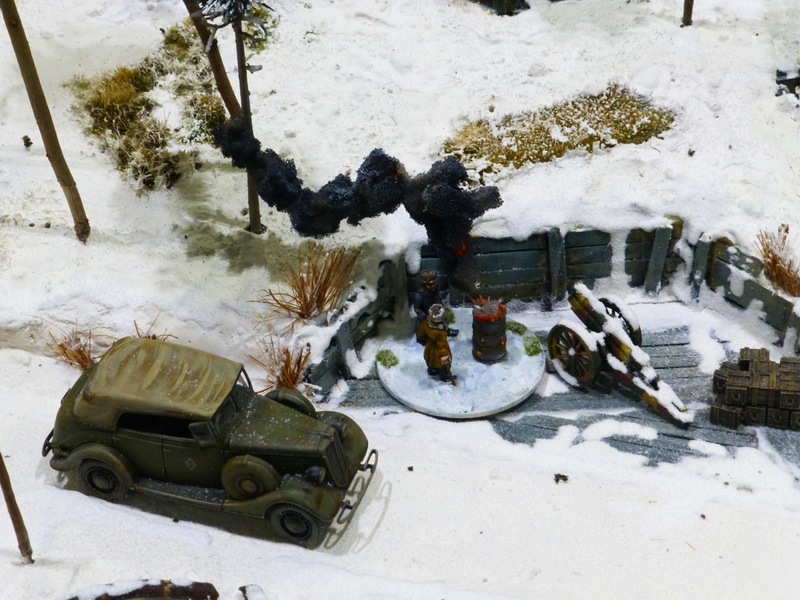 I have just started playing the original Company of Heroes again however since it is now available including all its expansions for a bargain price on Mac.